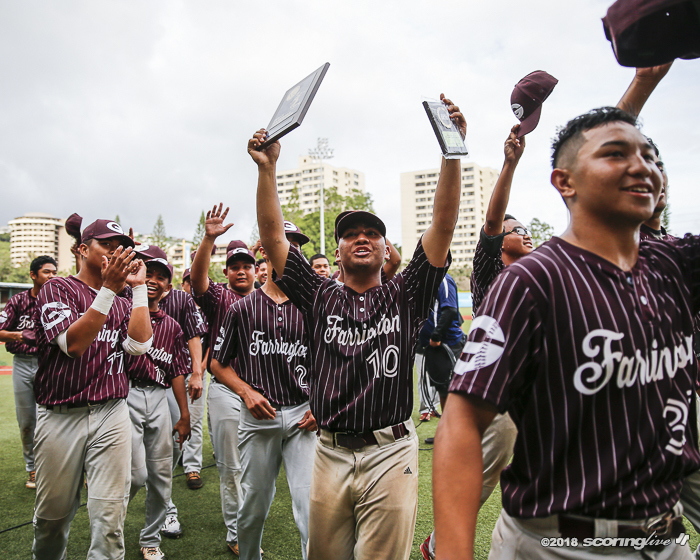 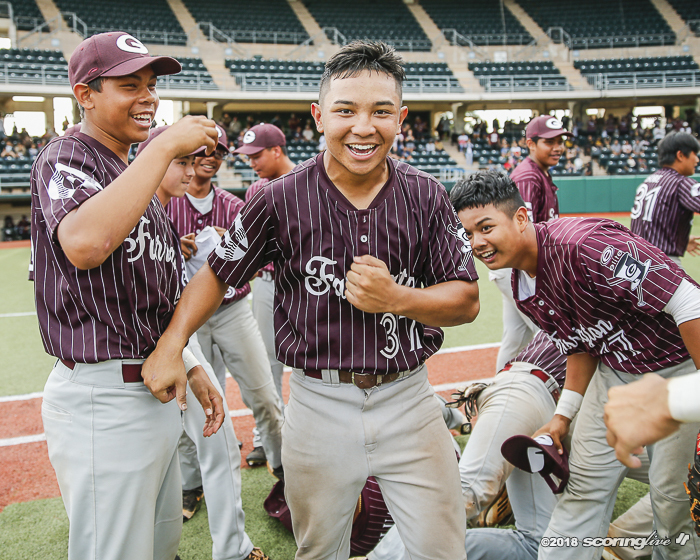 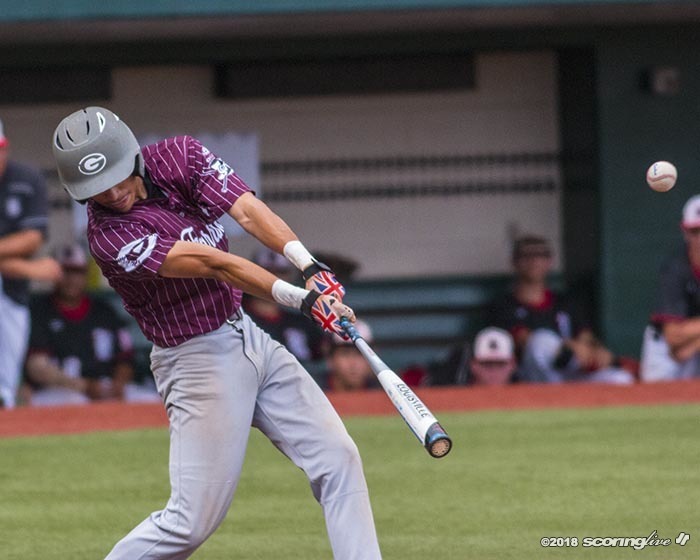 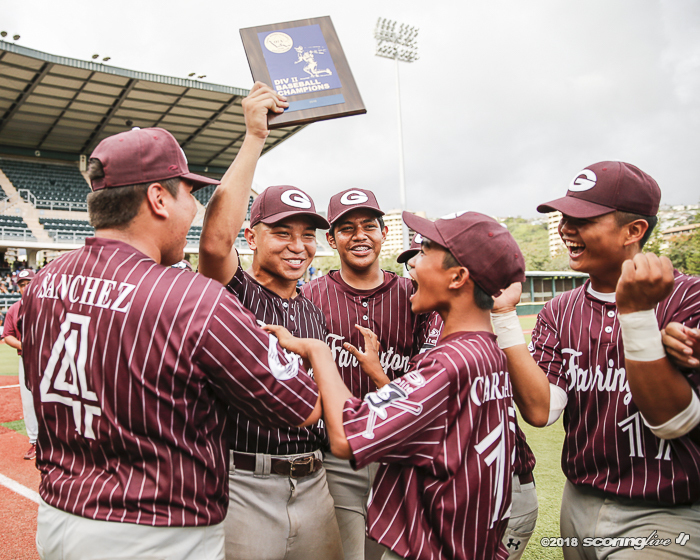 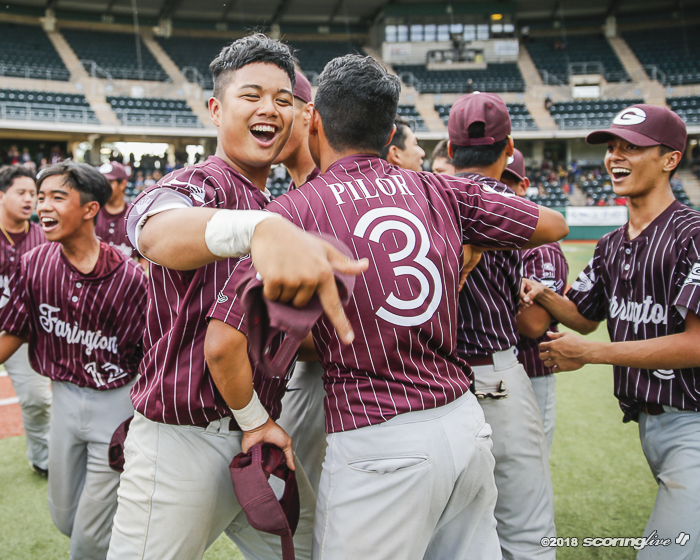 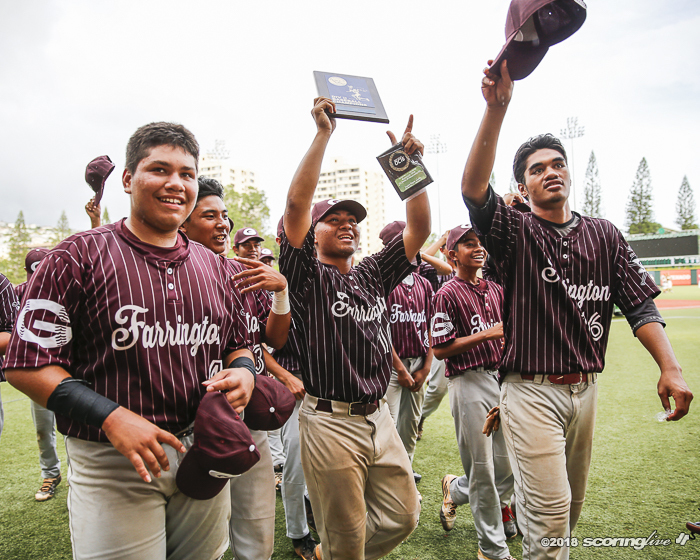 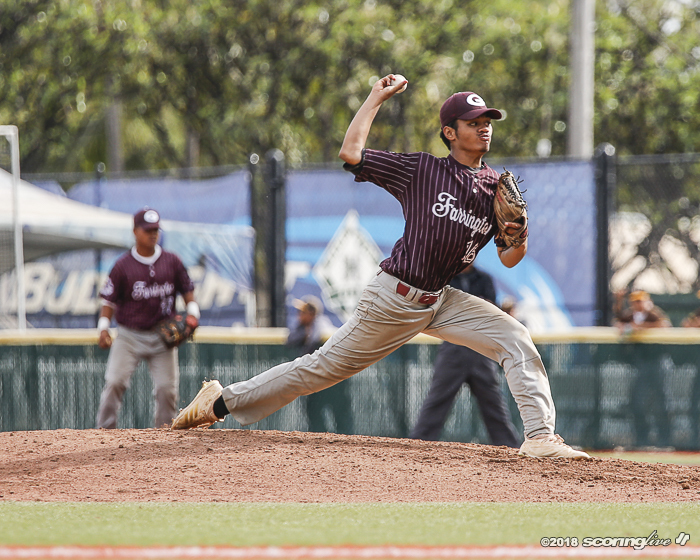 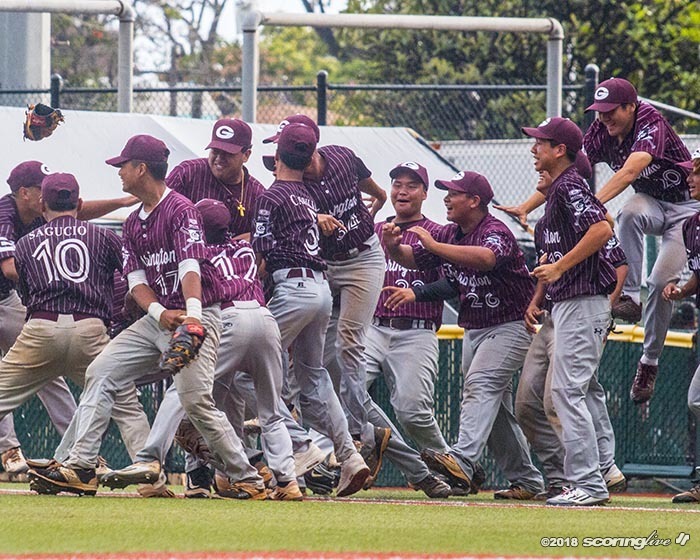 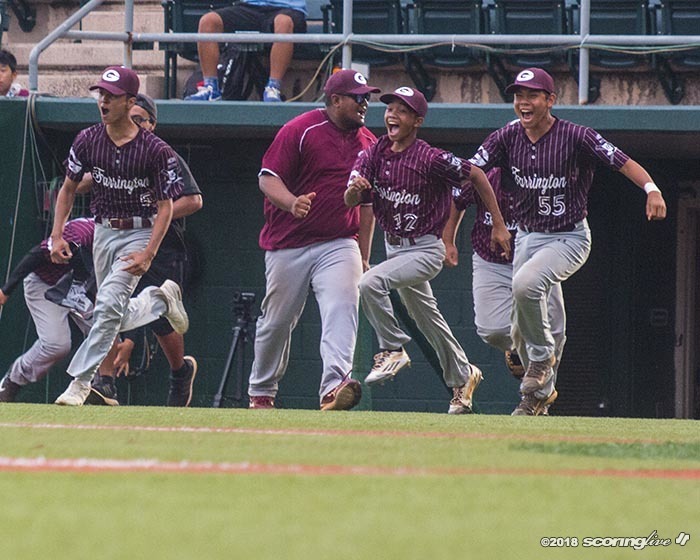 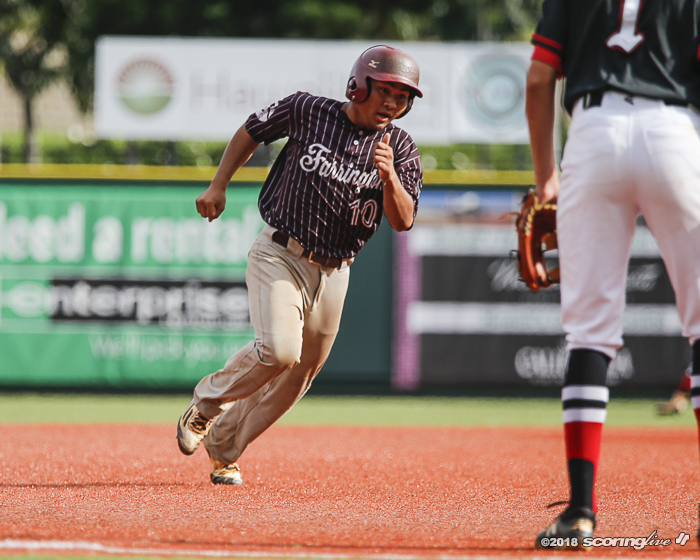 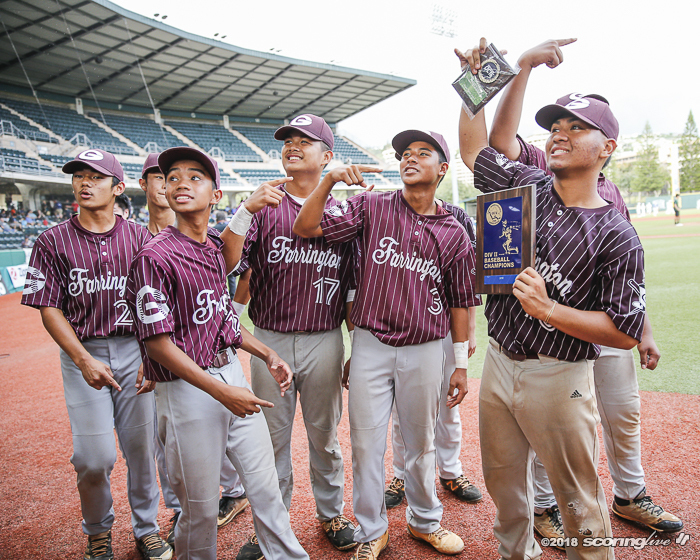 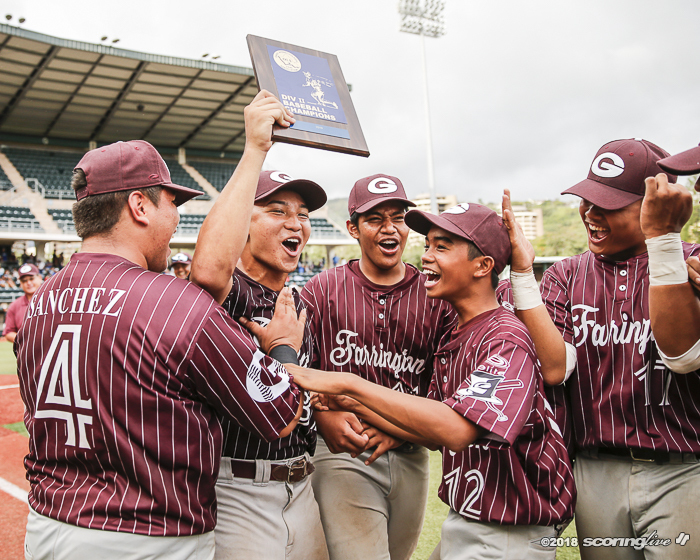 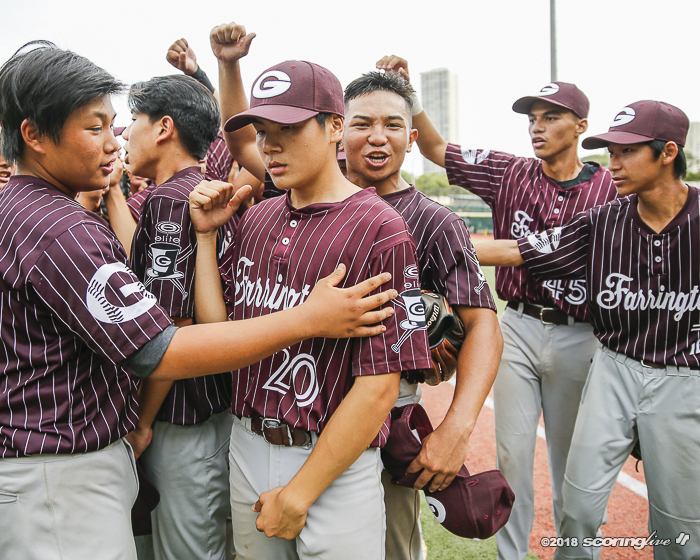 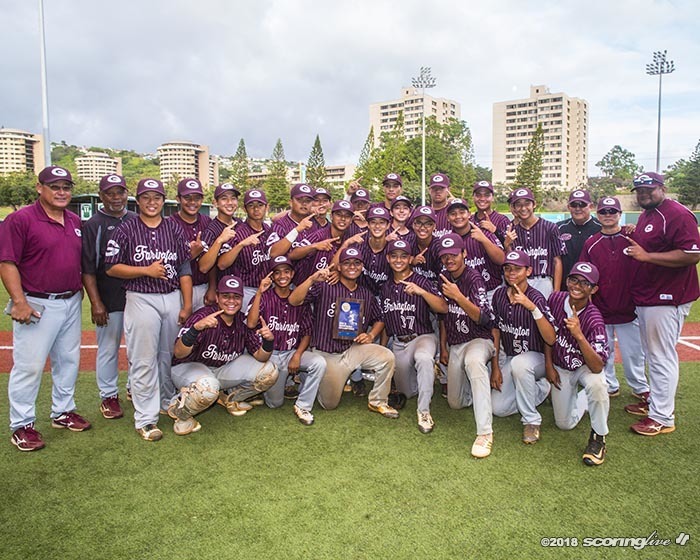 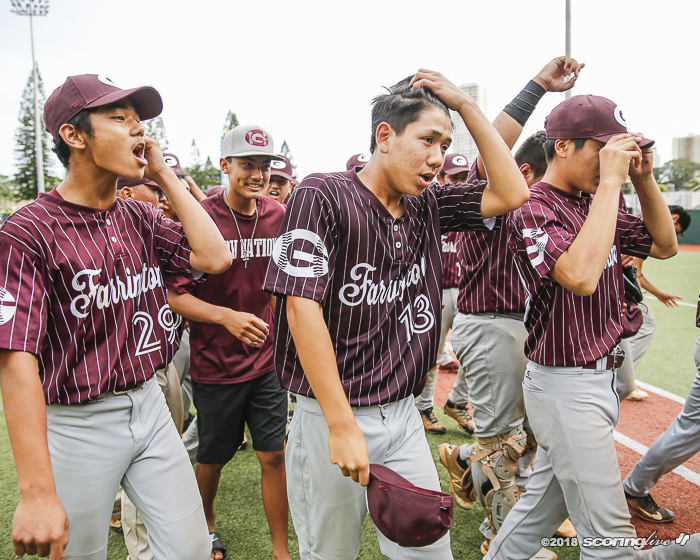 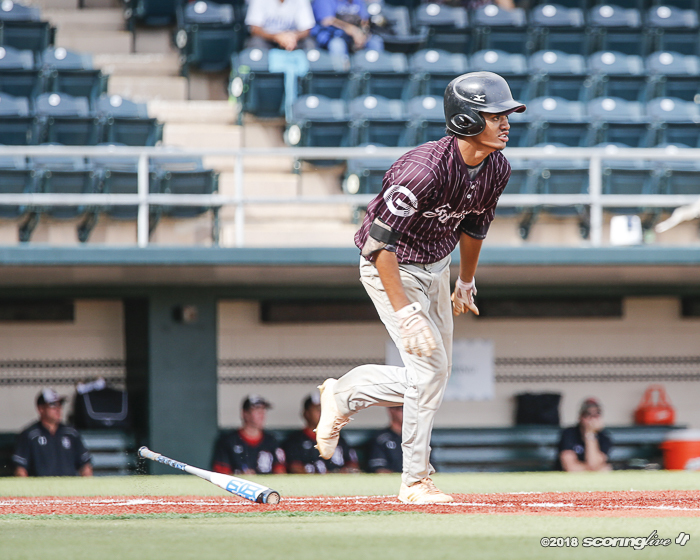 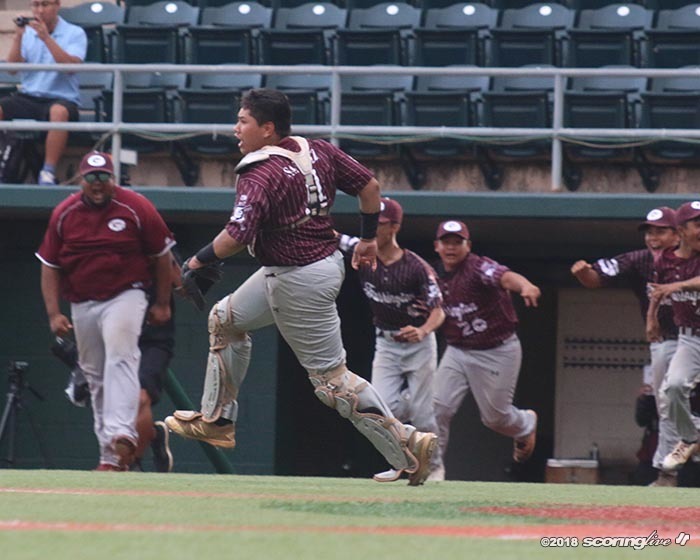 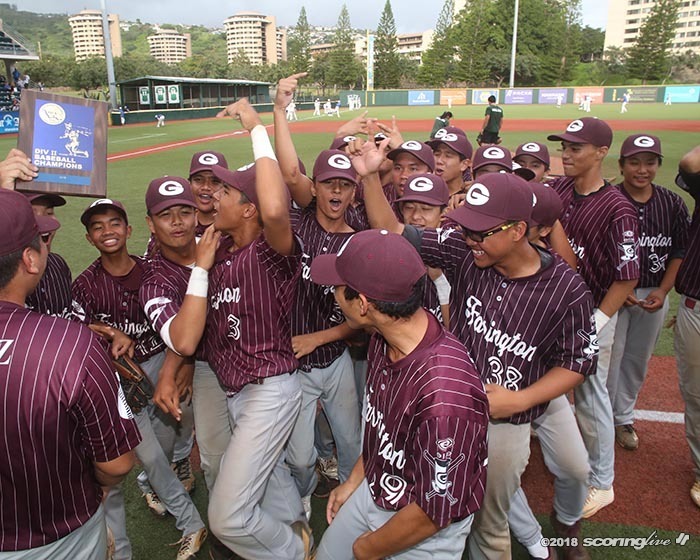 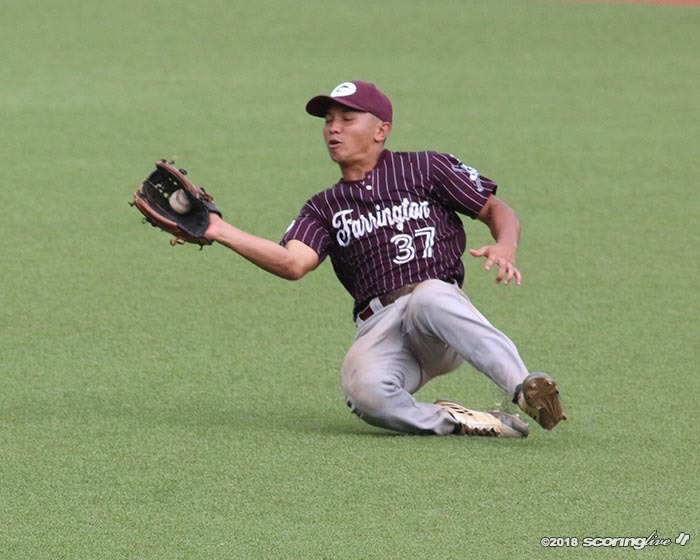 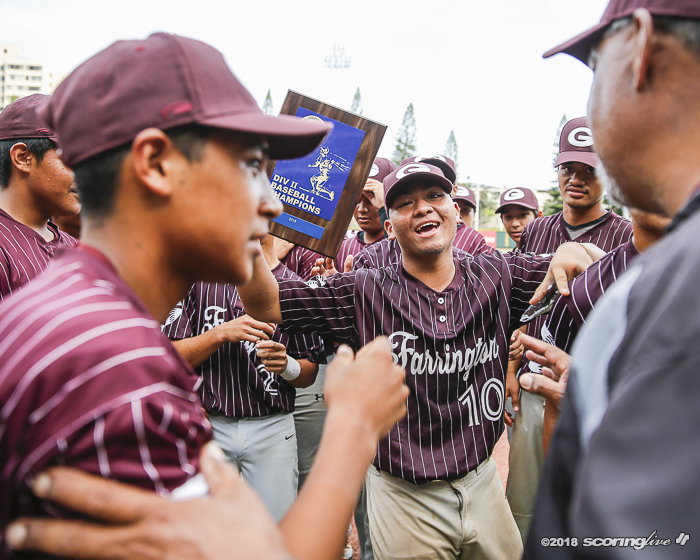 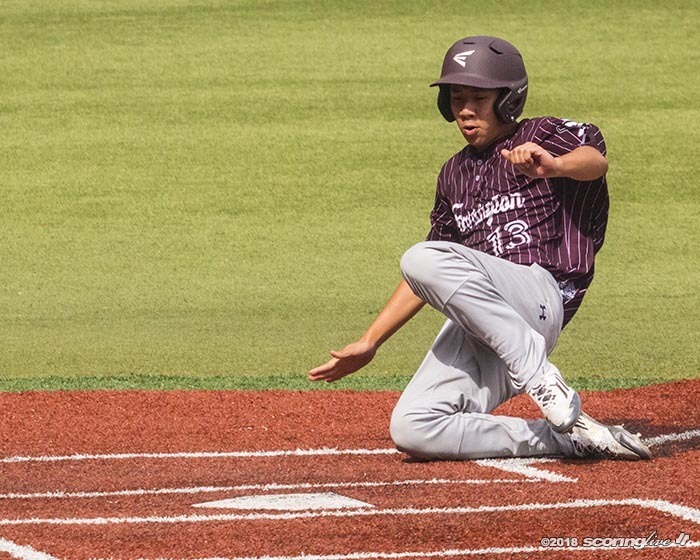 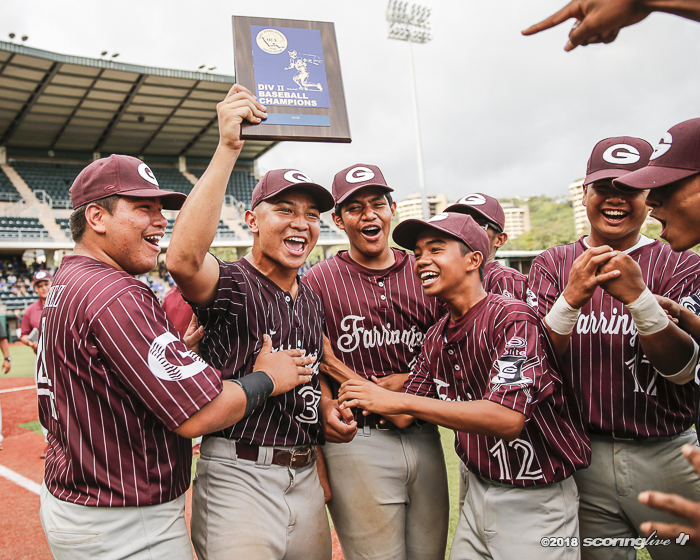 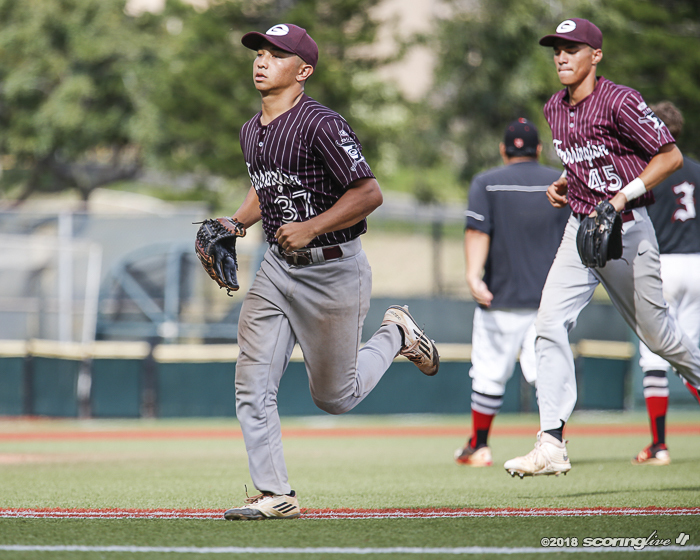 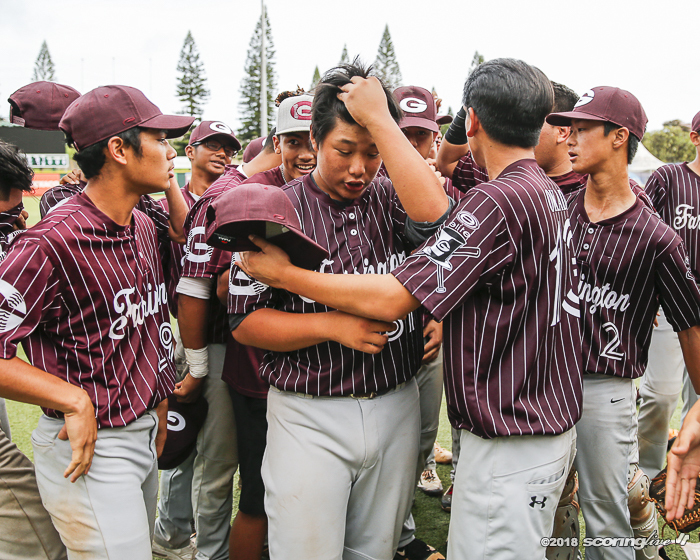 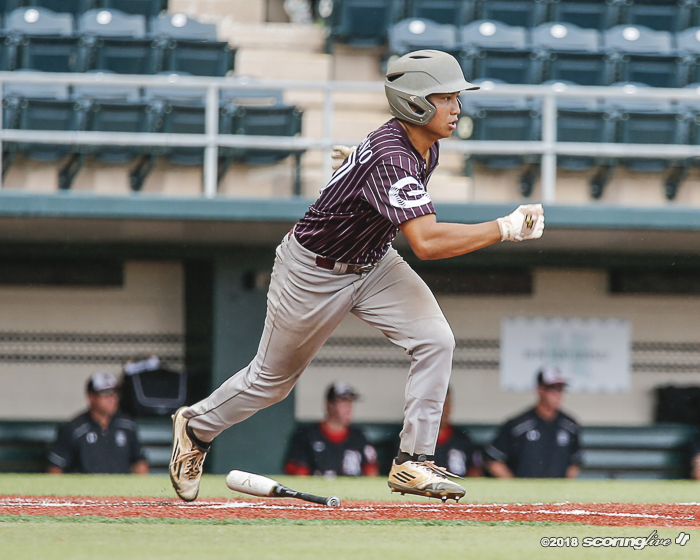 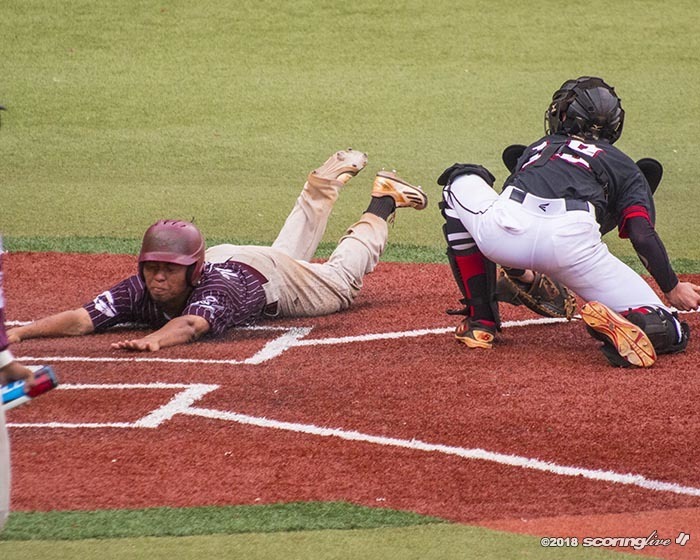 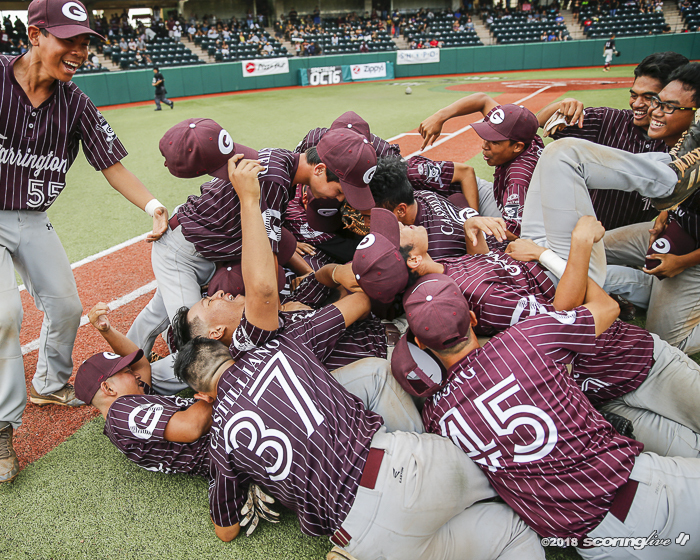 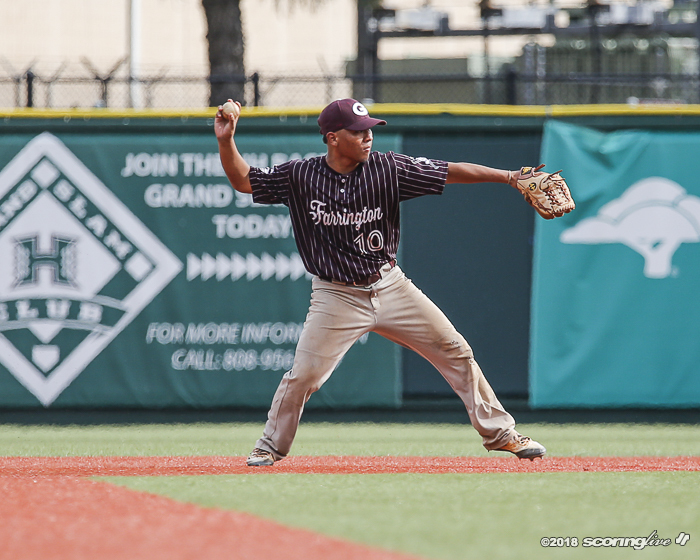 MANOA — After 55 years, Farrington has brought Kalihi a league baseball crown. 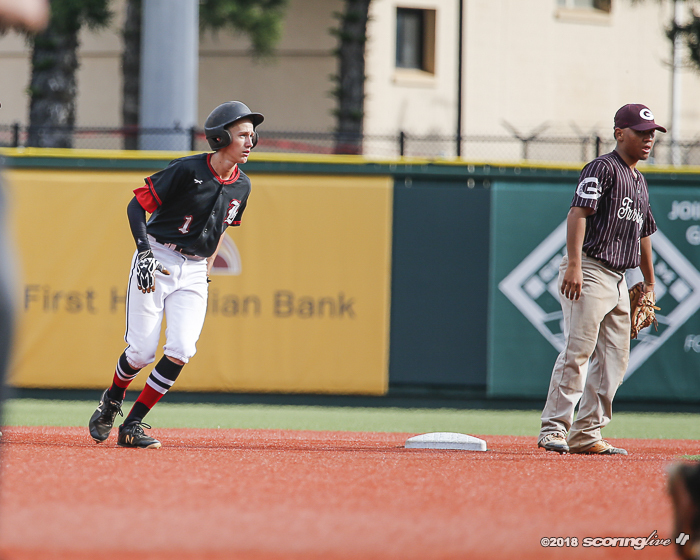 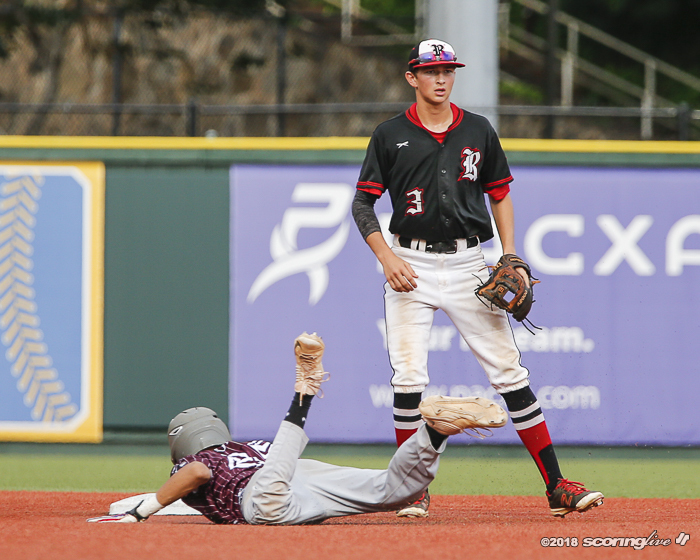 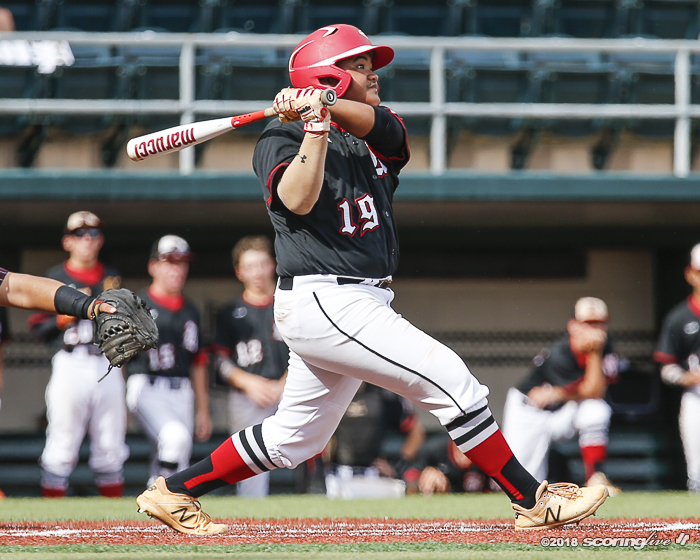 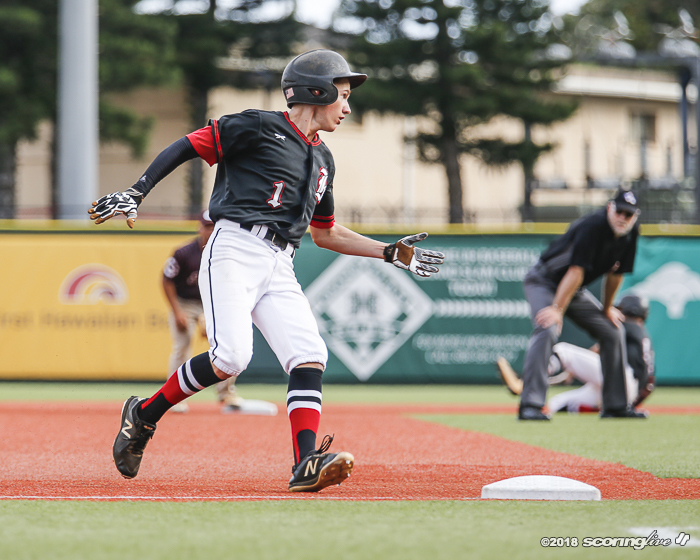 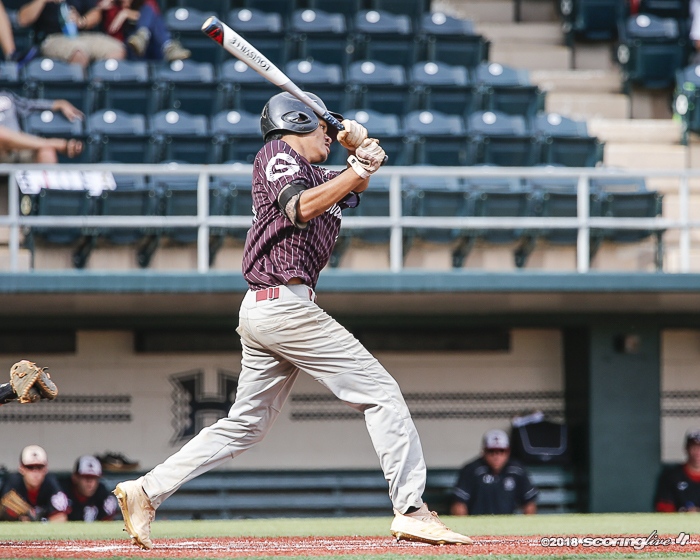 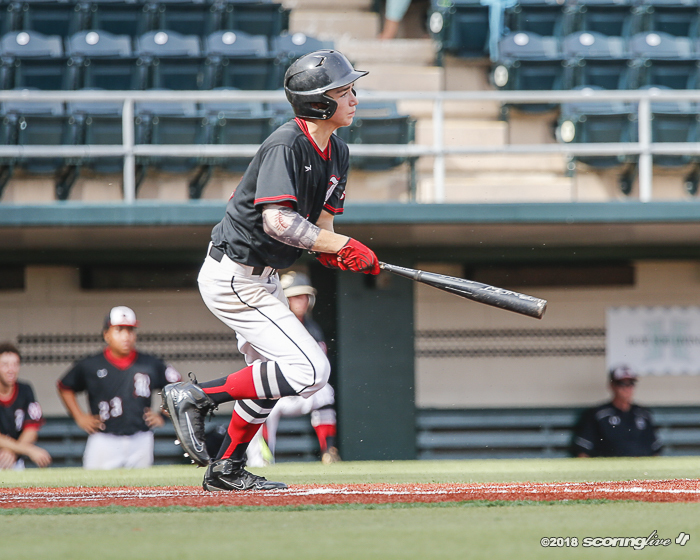 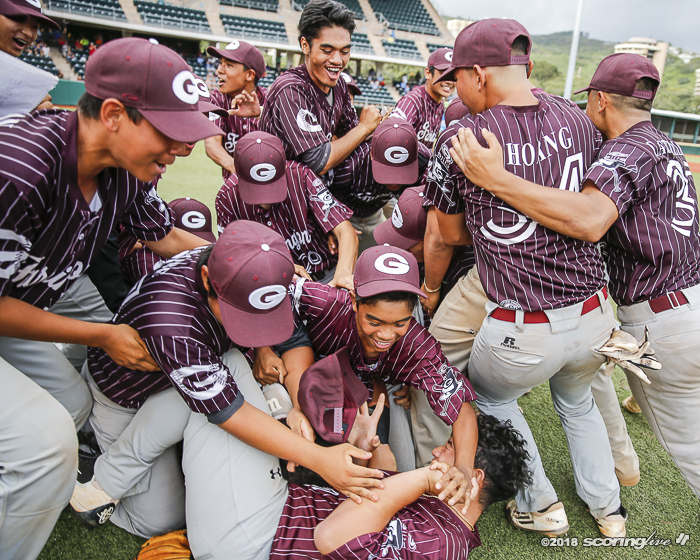 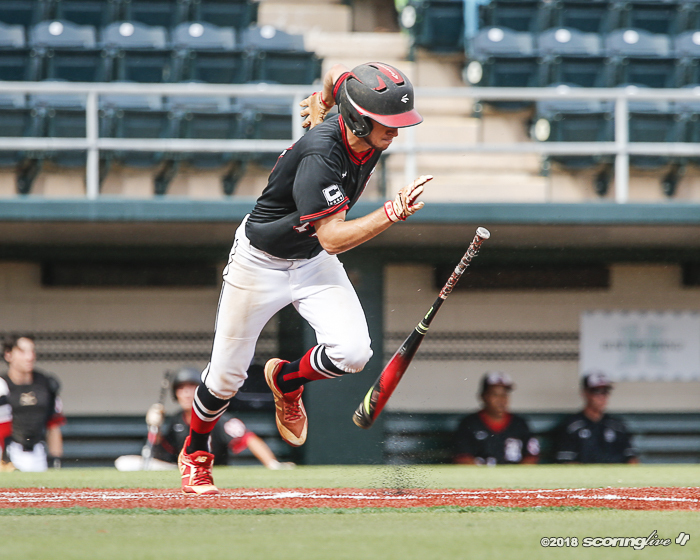 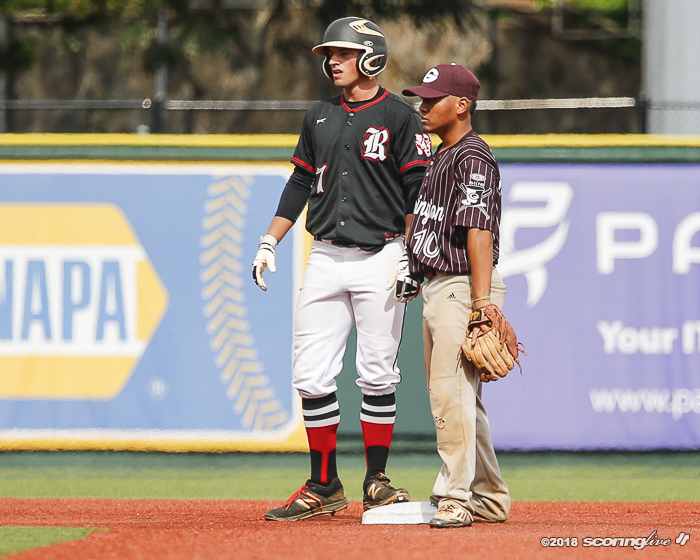 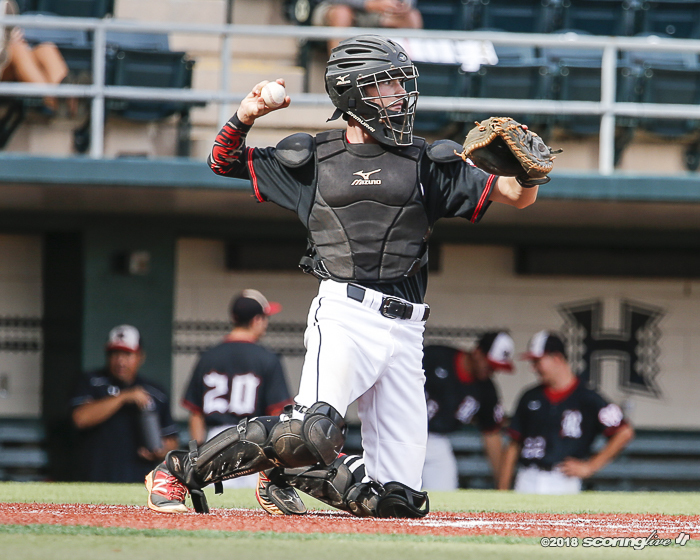 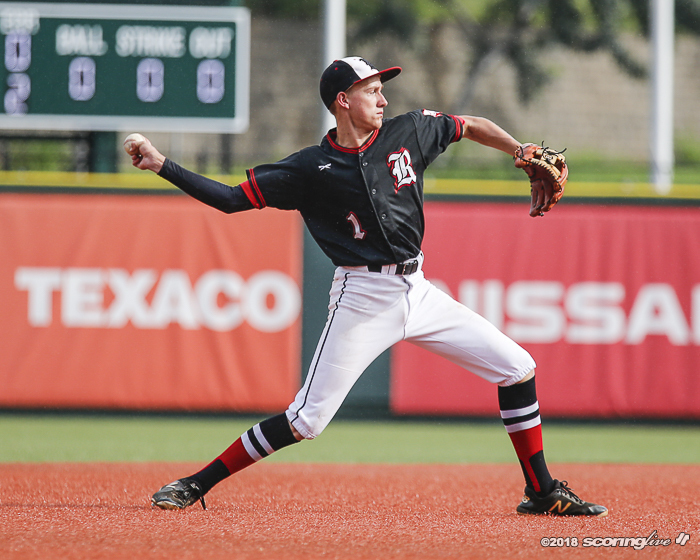 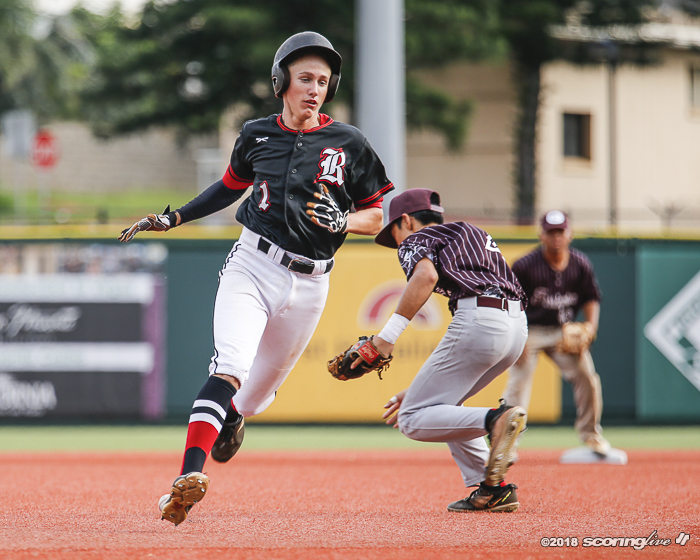 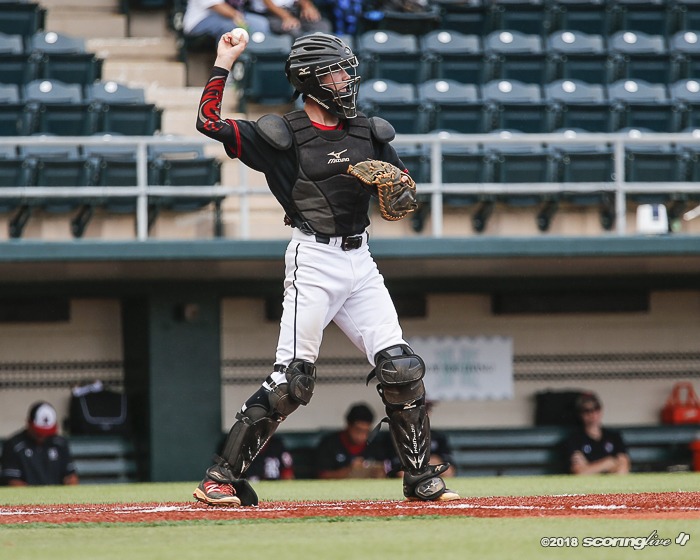 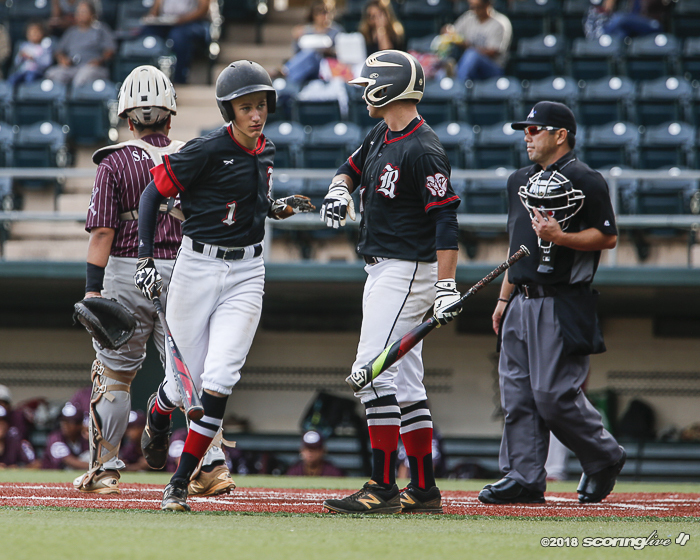 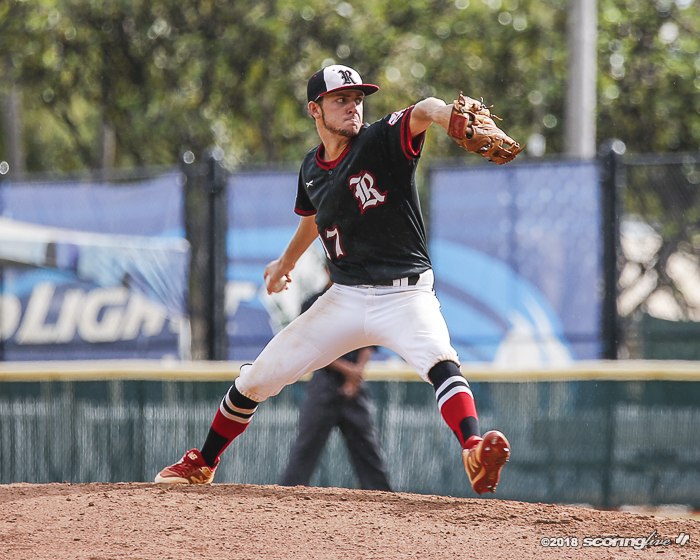 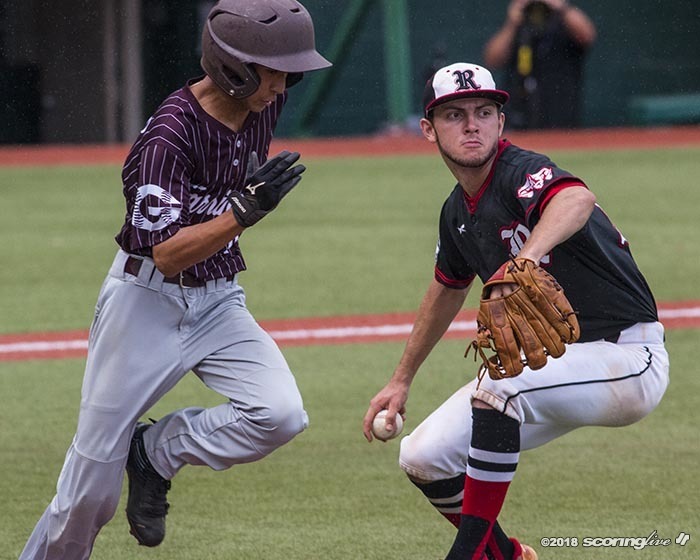 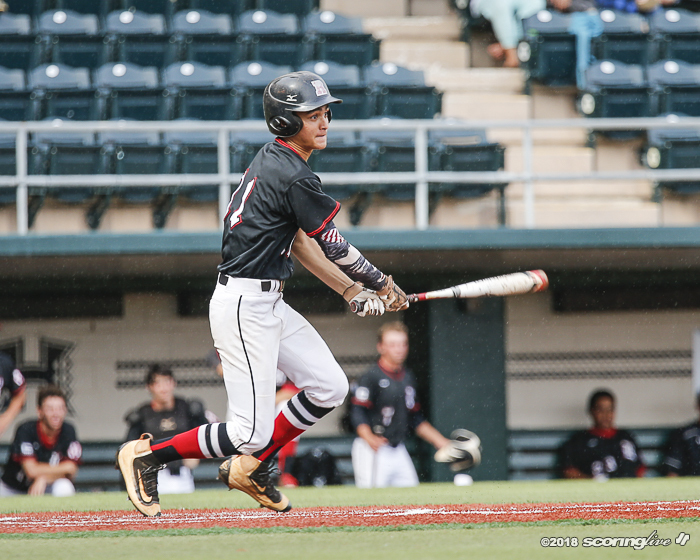 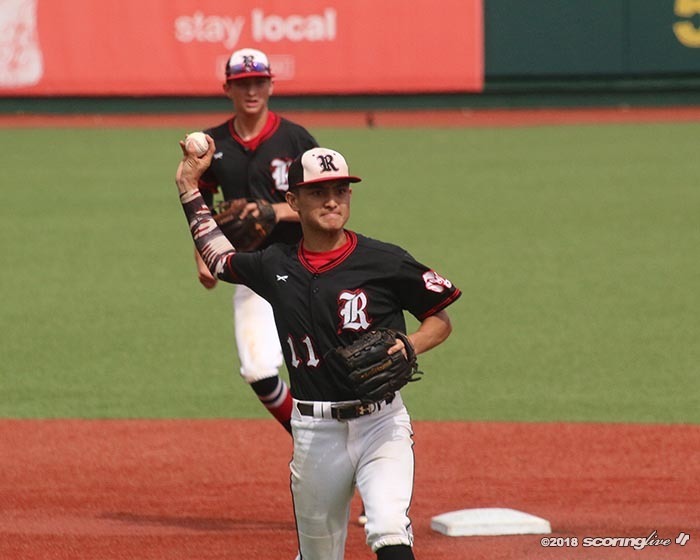 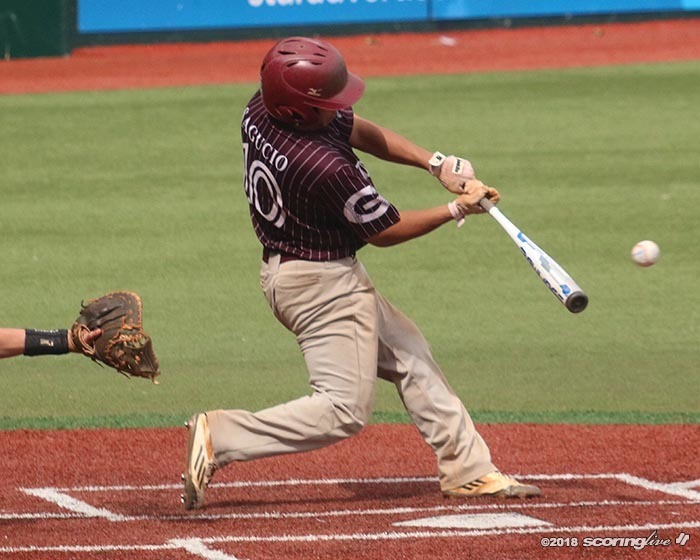 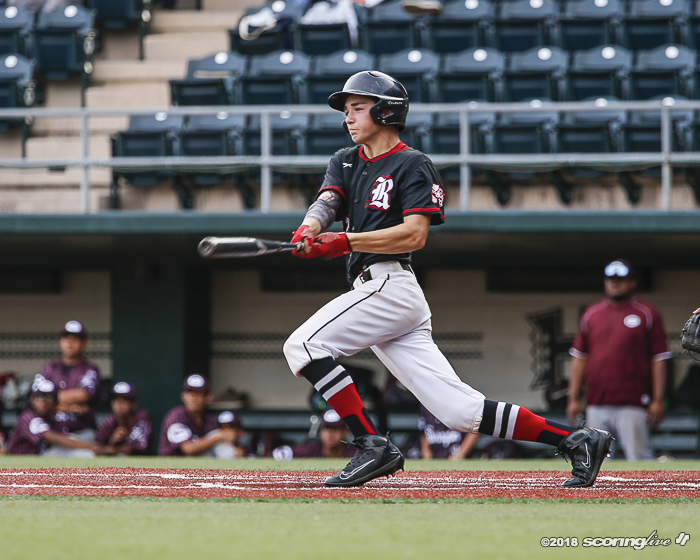 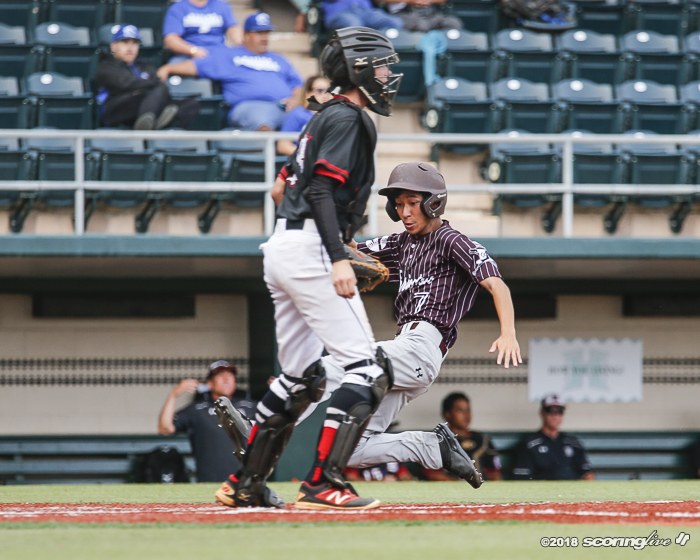 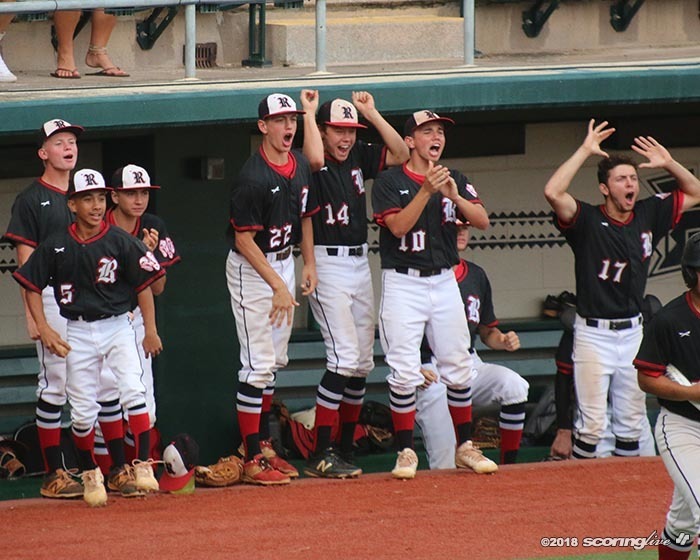 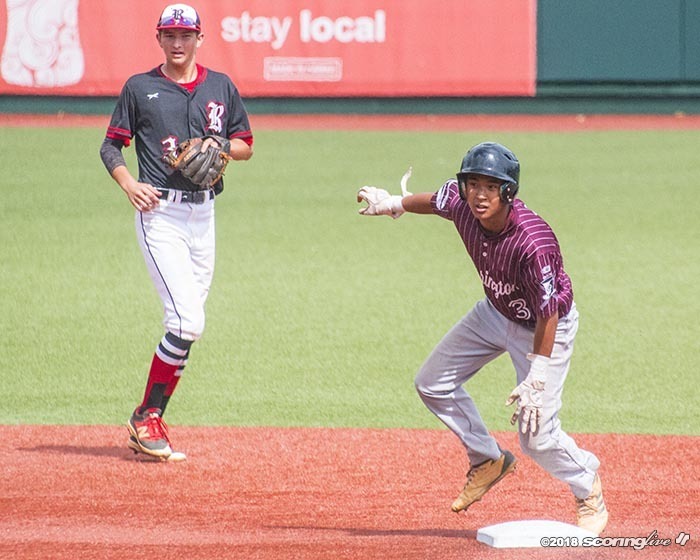 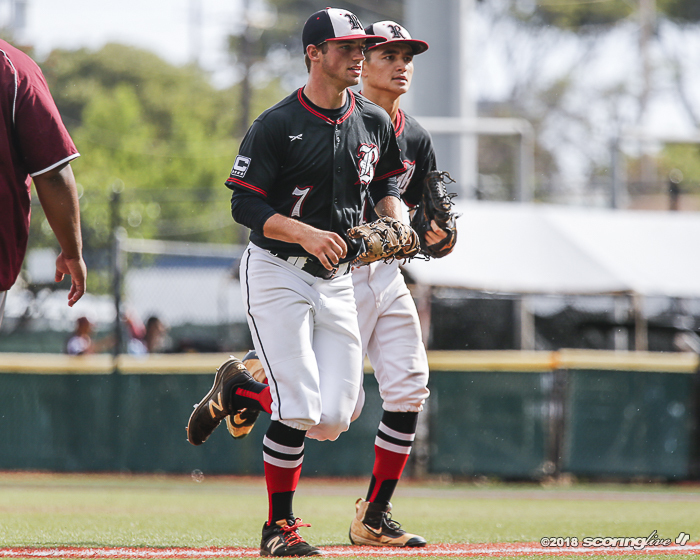 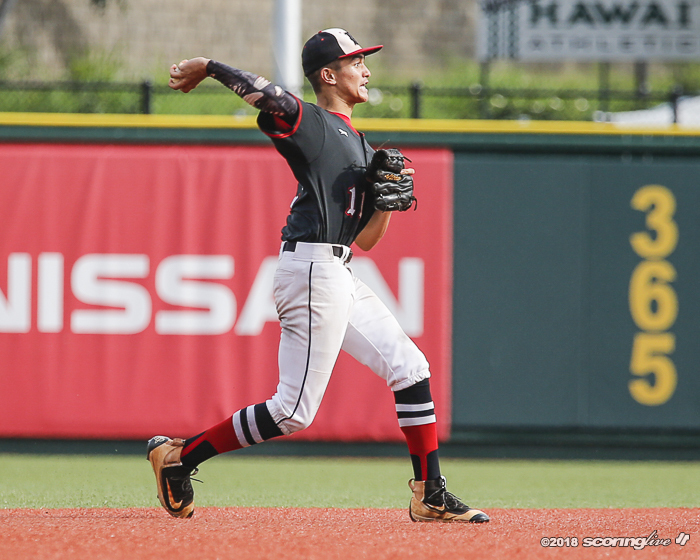 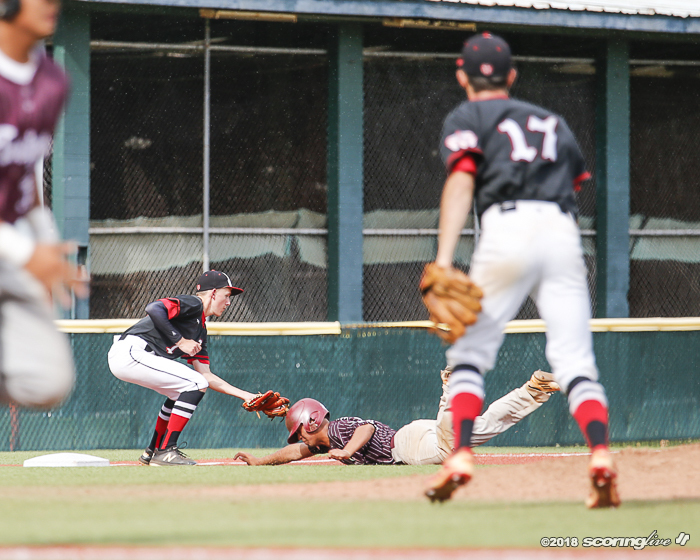 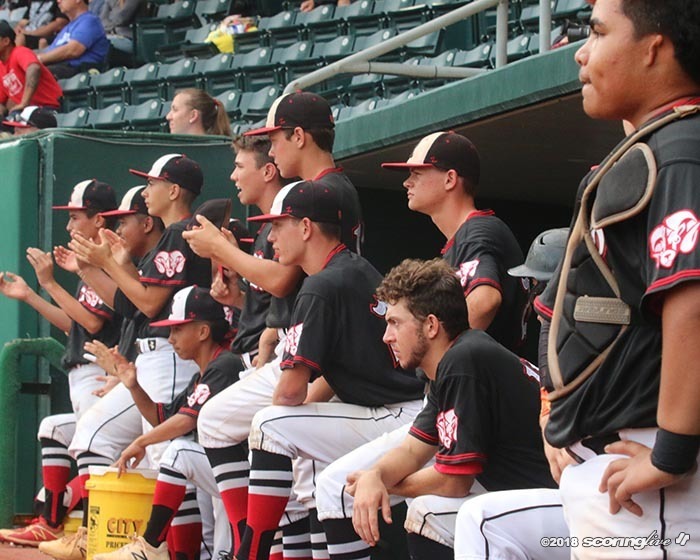 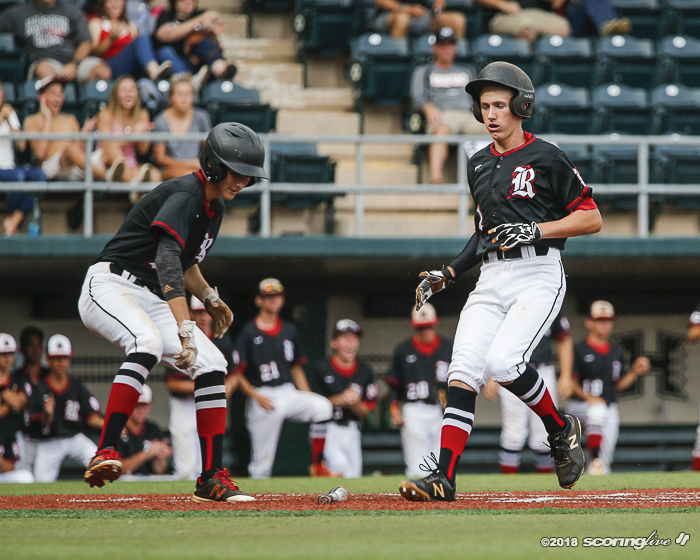 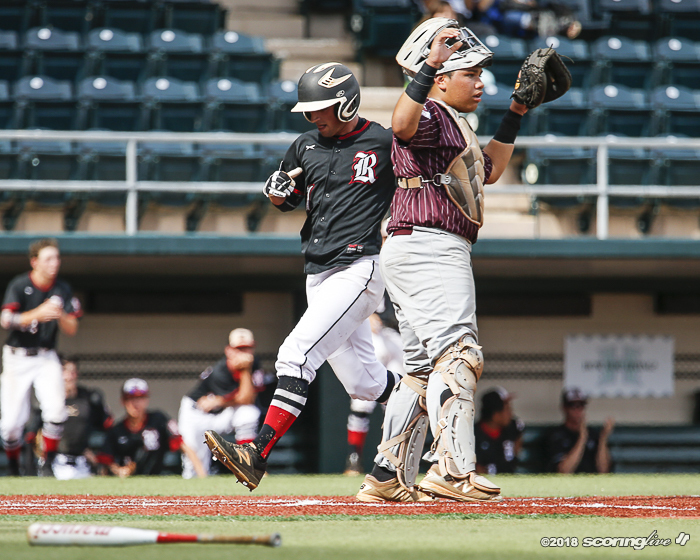 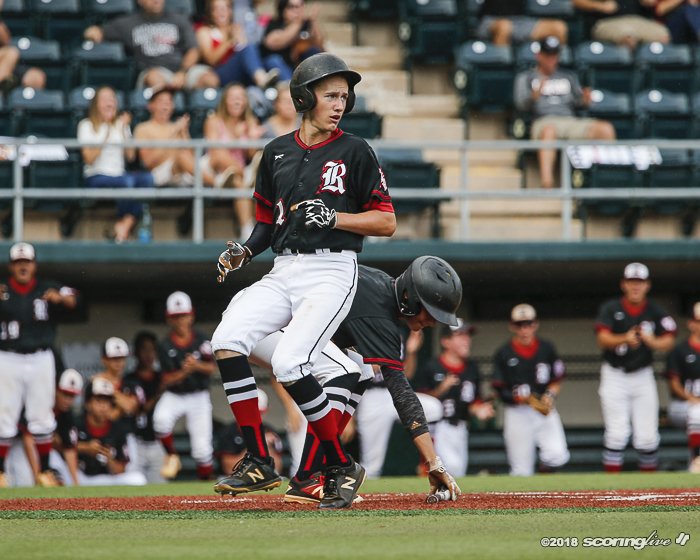 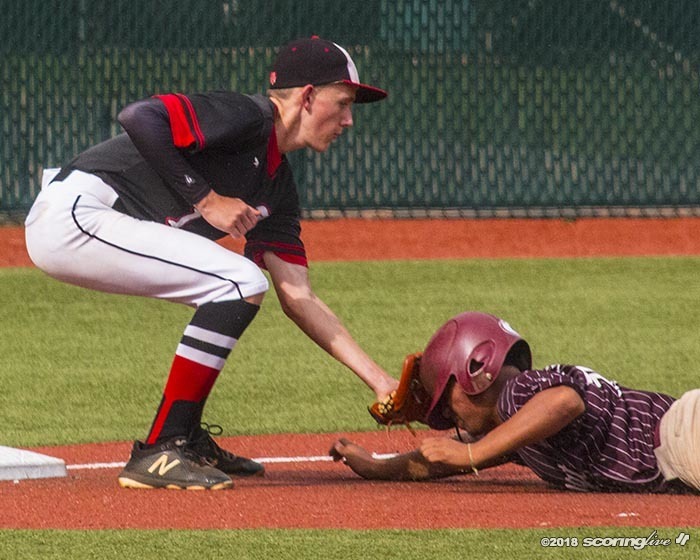 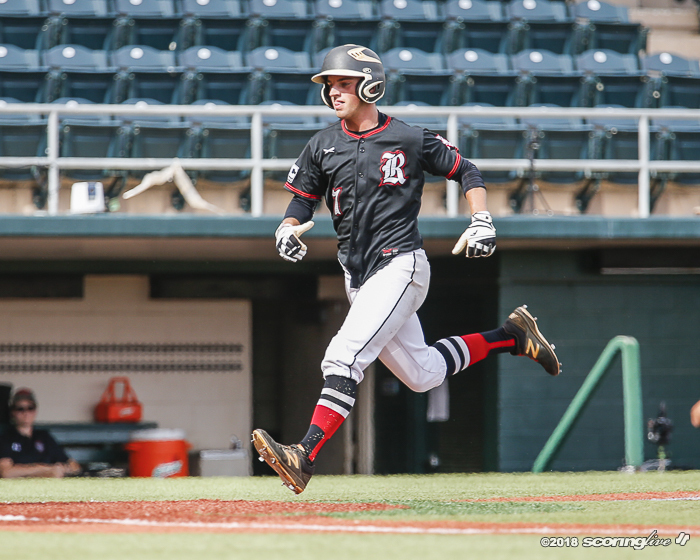 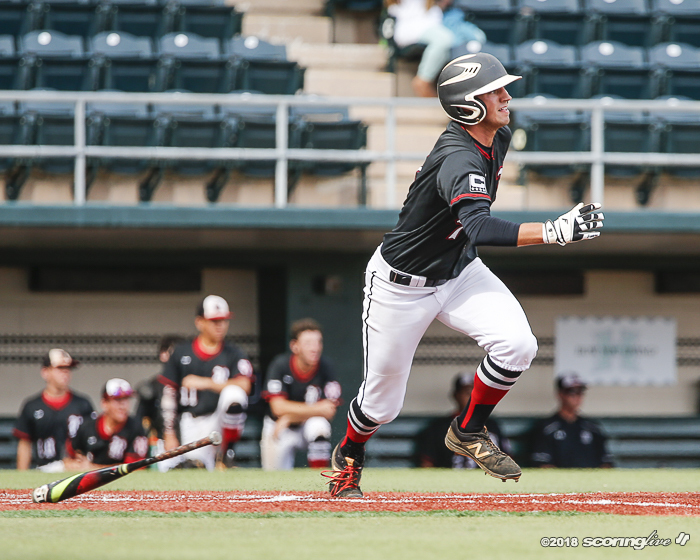 A three-run first inning against nemesis Radford ignited the Governors to a thrilling 6-4 win Saturday for the Oahu Interscholastic Association Division II baseball title at Les Murakami Stadium. 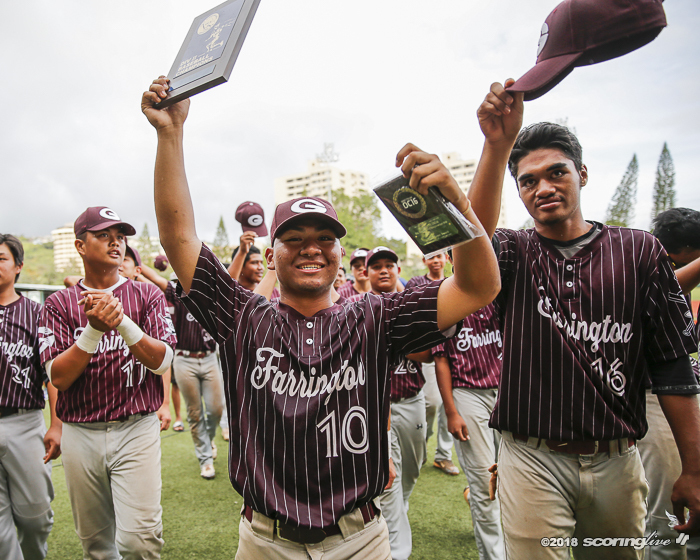 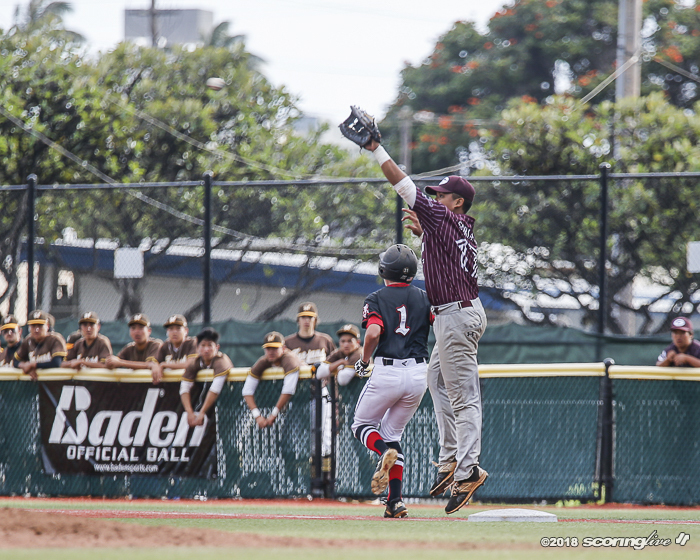 "Greatest moment of my life," Farrington senior center fielder Chasen Castilliano said. 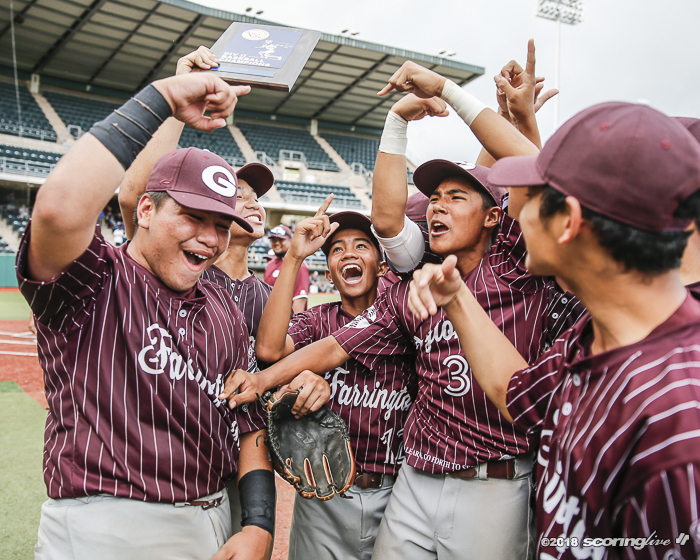 "Just all the hard work, dedication, all the sweat we put in, it finally paid off. 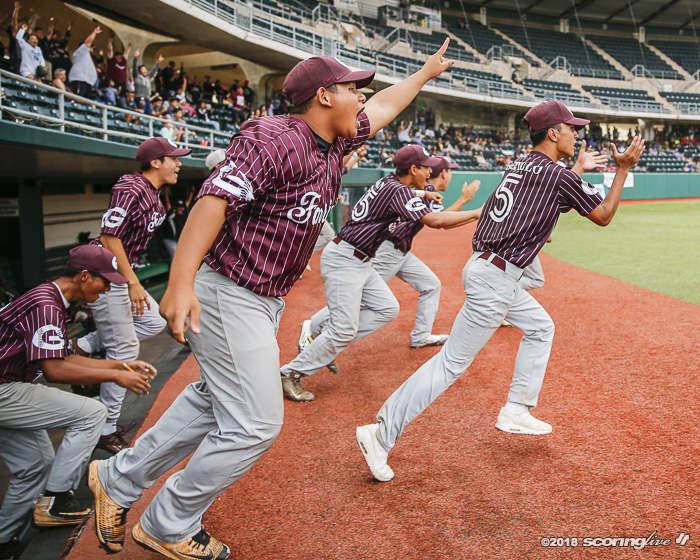 Trust me, we deserve this. 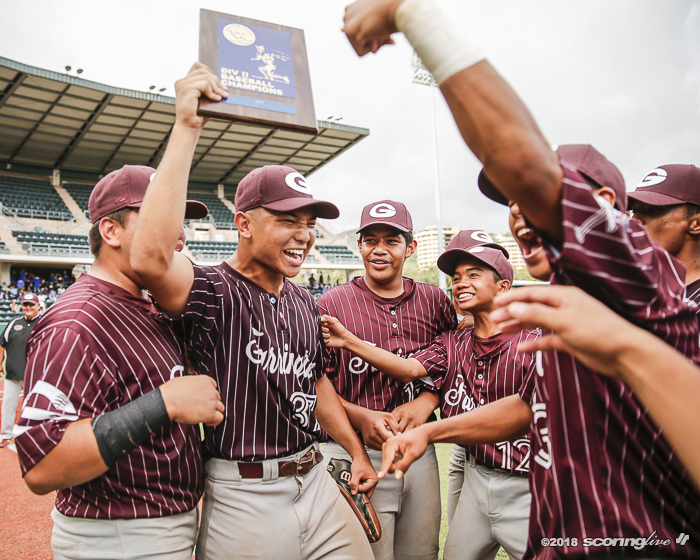 It was finally time for us." 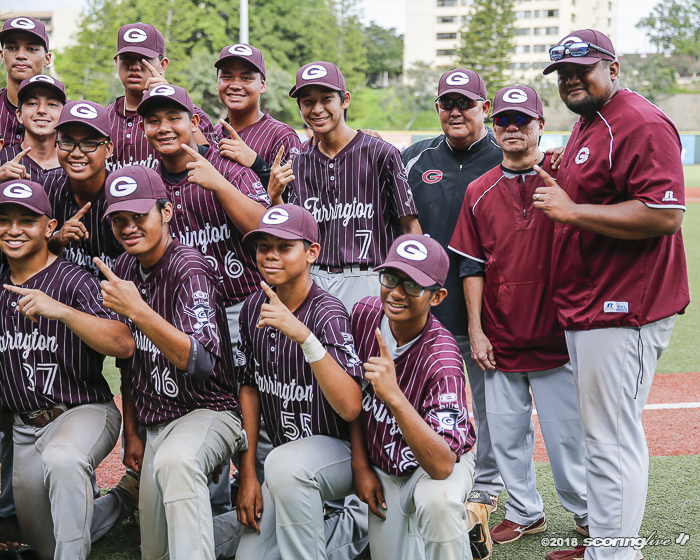 It was the Governors' first OIA championship and first league crown since they won back-to-back Interscholastic League of Honolulu titles in 1962 and 1963 under legendary coach Richard Kitamura. 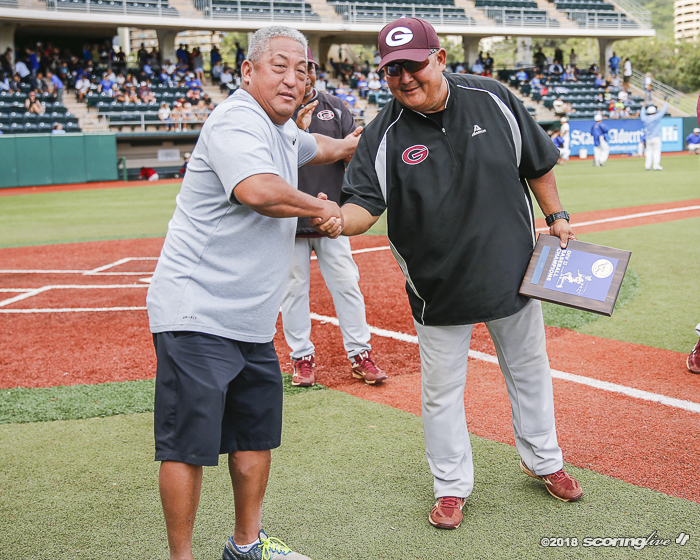 It was then led by yet another Farrington legend John Matias, who still holds the state tourament record with a four-homer game in the 1962 semifinals at the old Honolulu Stadium. 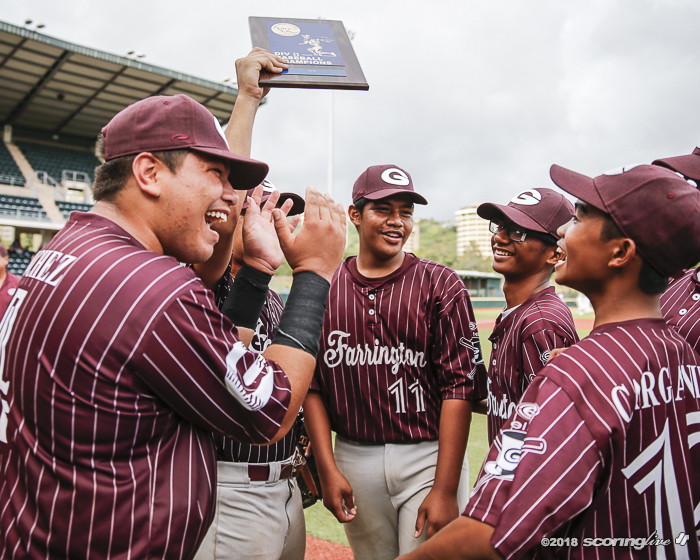 "I don't think we've been in a championship since the '60s," said Farrington principal Al Carganilla, who coached the Govs in the 1990s. 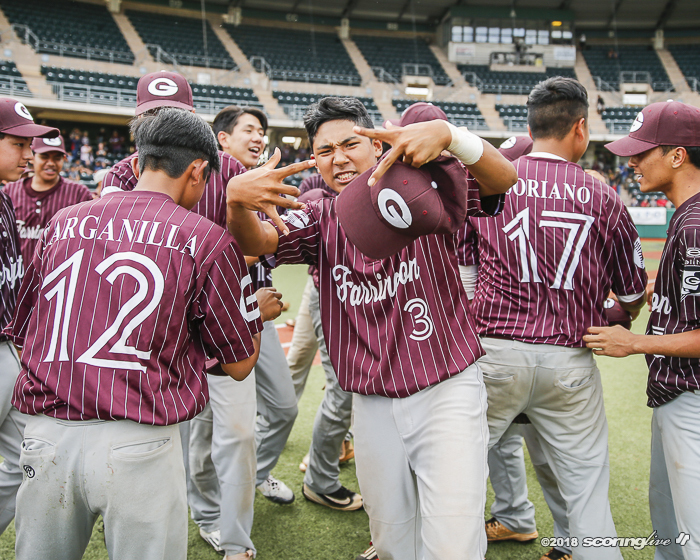 "Just for them to be in the game was big for us. 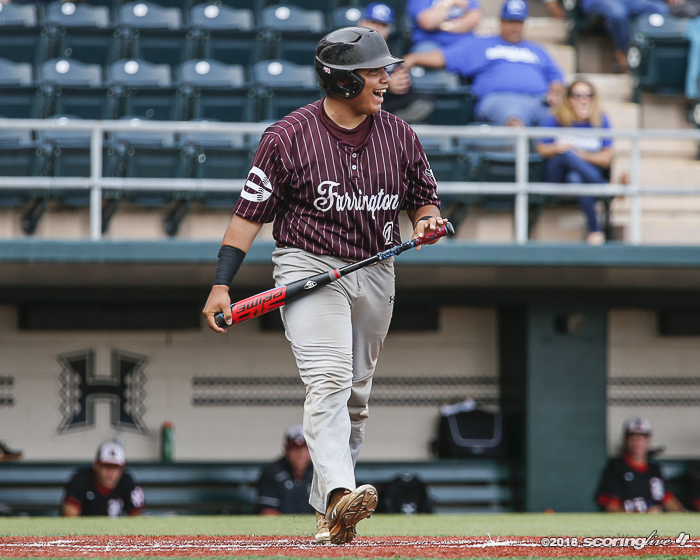 We have a lot of baseball tradition at Farrington, a lot of people who played the game, so just being in the game today was a big thing. 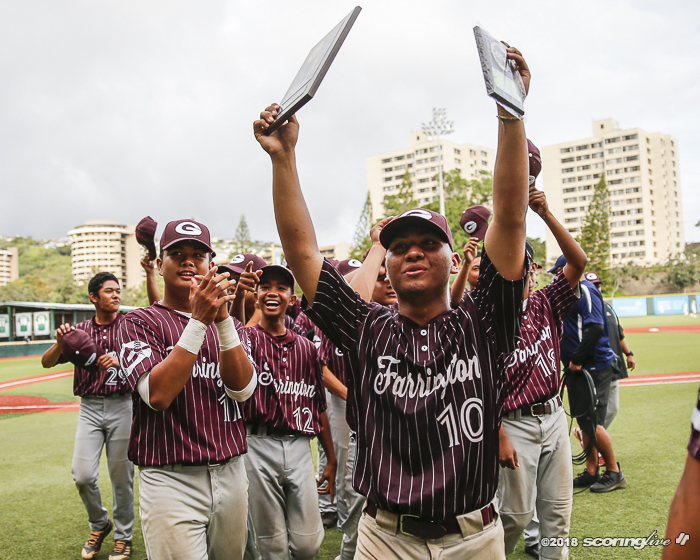 Winning it on top of that is even more special." 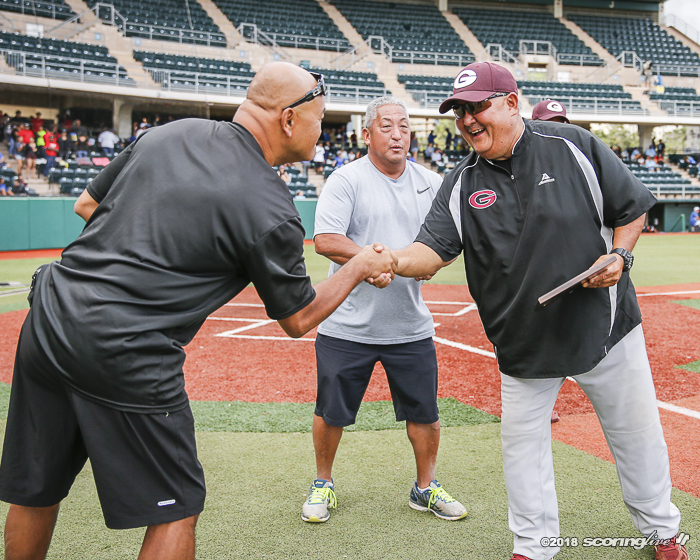 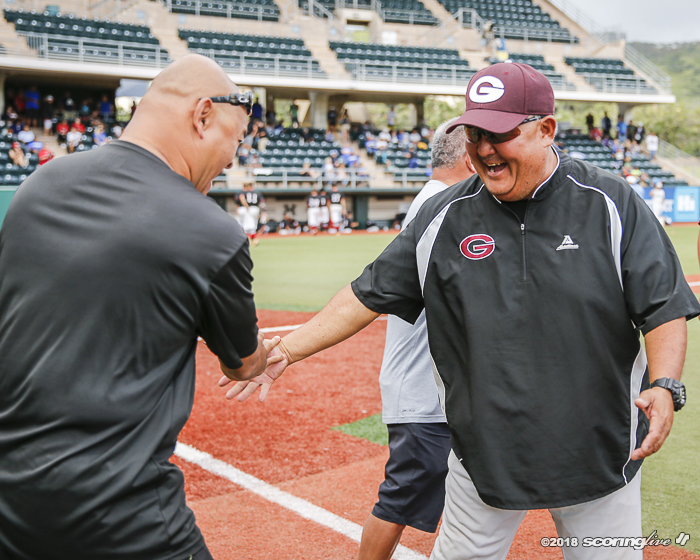 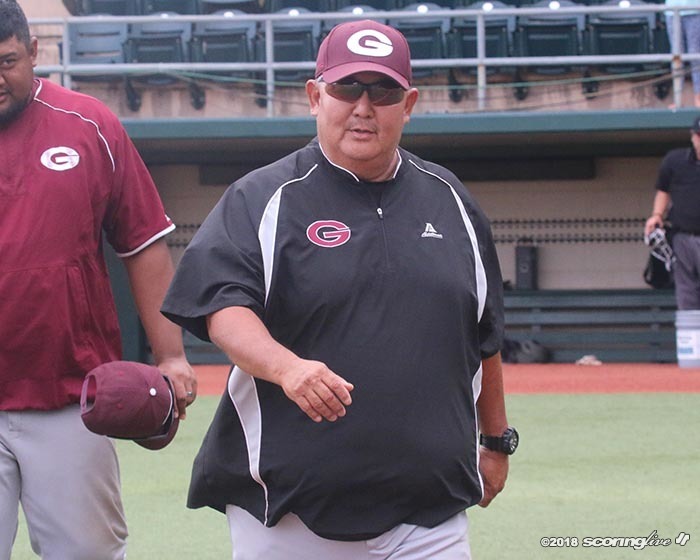 The history of Governors' baseball wasn't lost on fifth-year coach Eric Tokunaga, the 1976 OIA East Player of the Year at McKinley and former University of Hawaii shortstop. 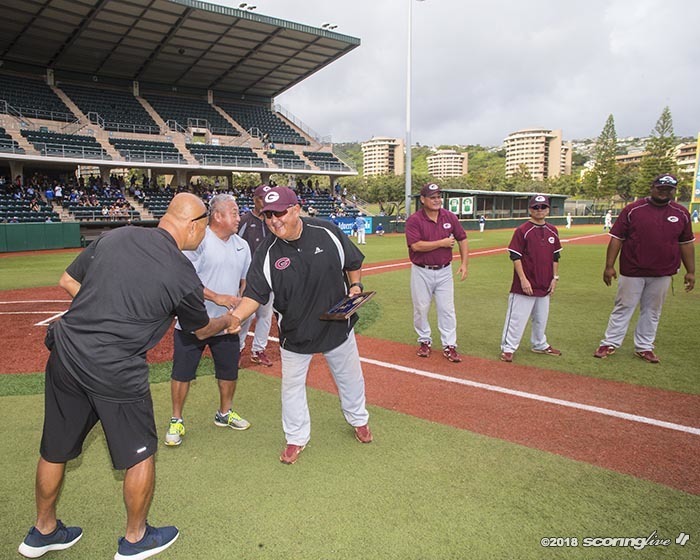 "The history of the program, guys like Mario Monico (who went on to play at the UH), all those guys, finally we did something," Tokunaga said. 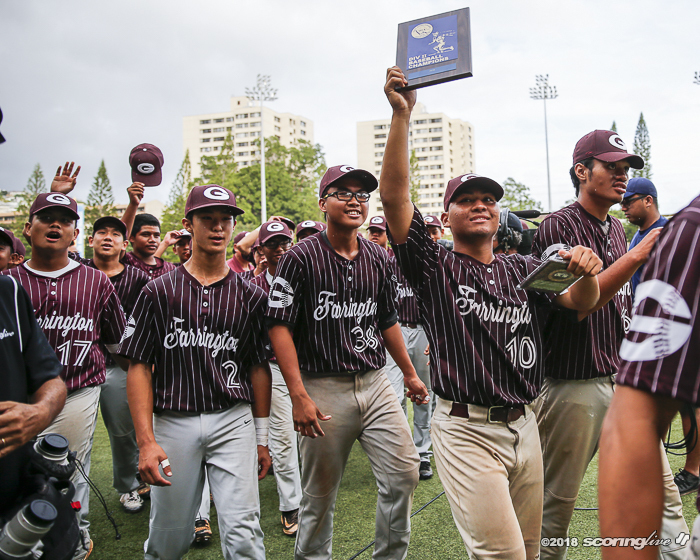 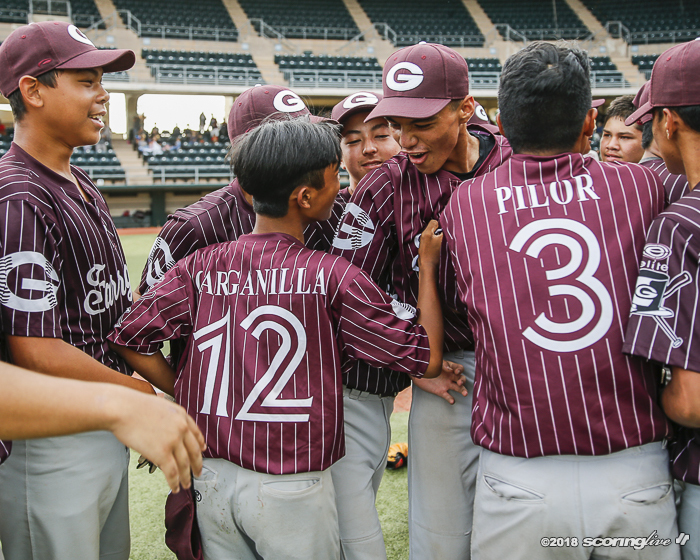 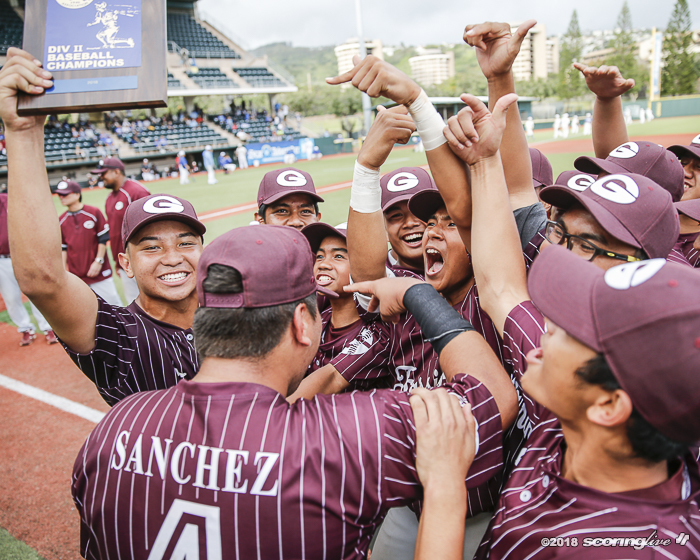 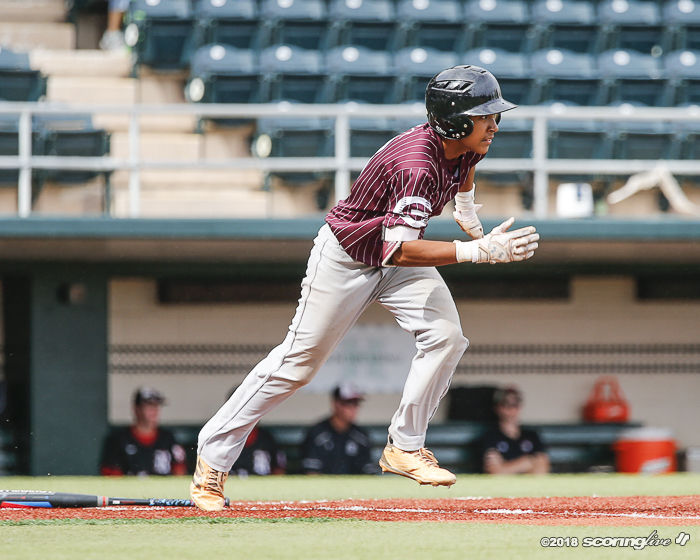 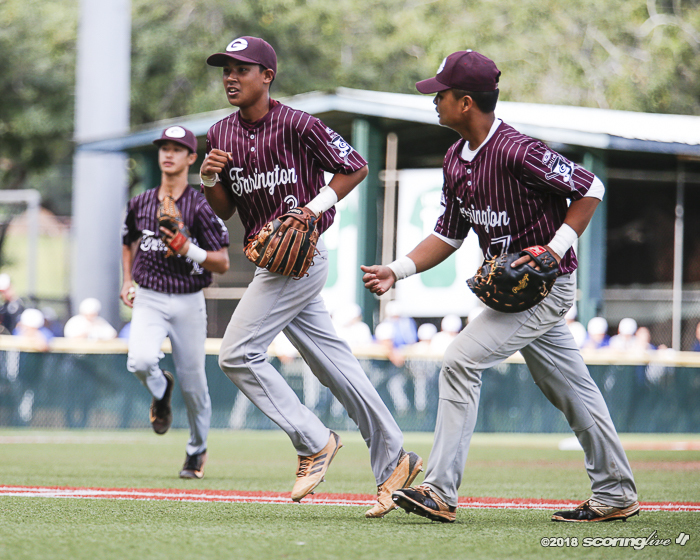 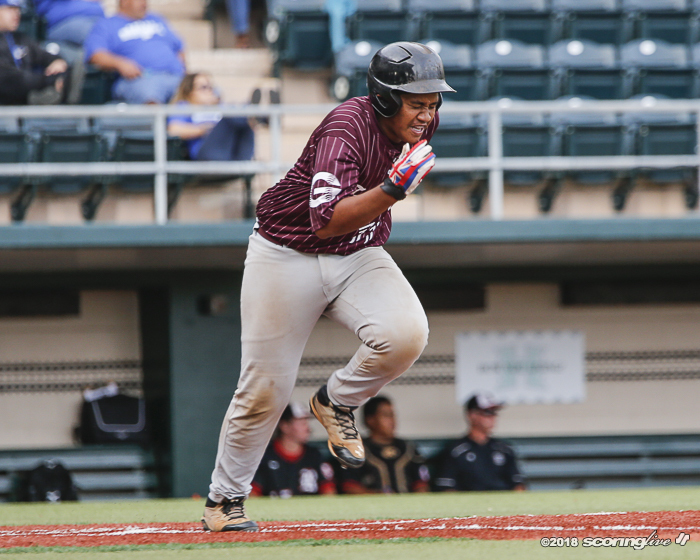 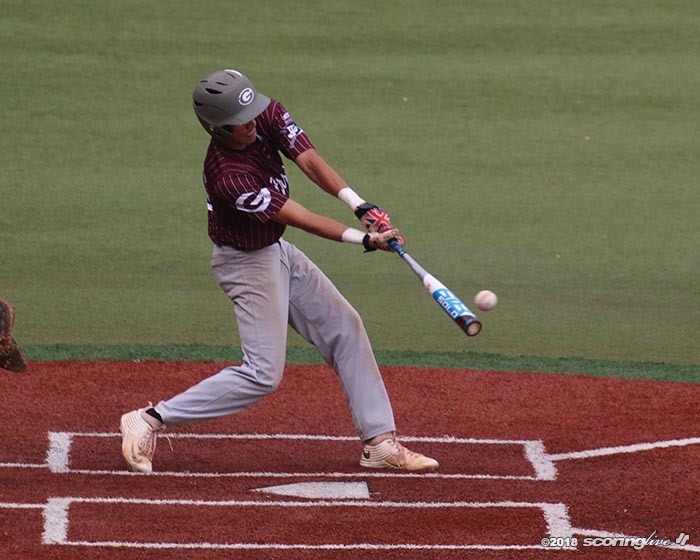 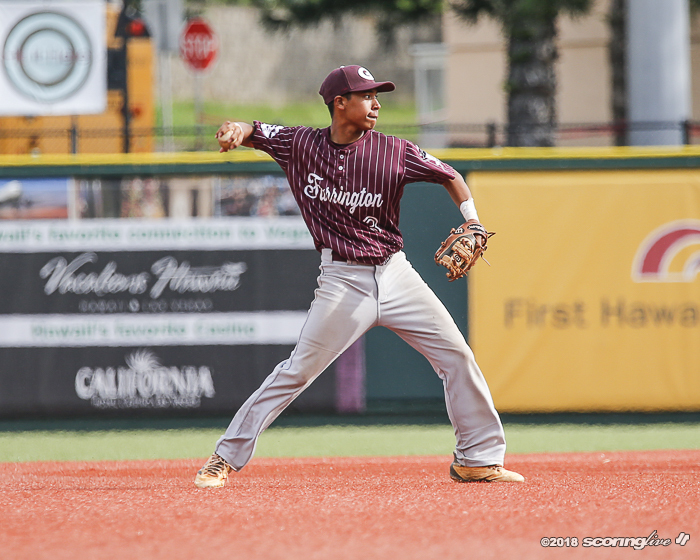 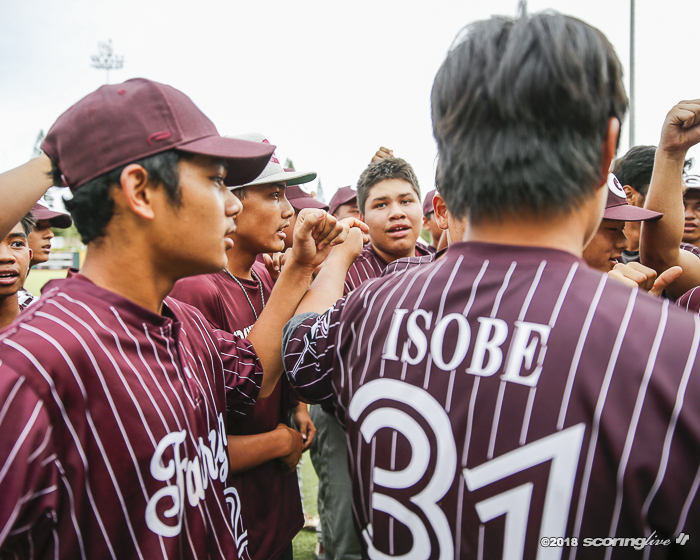 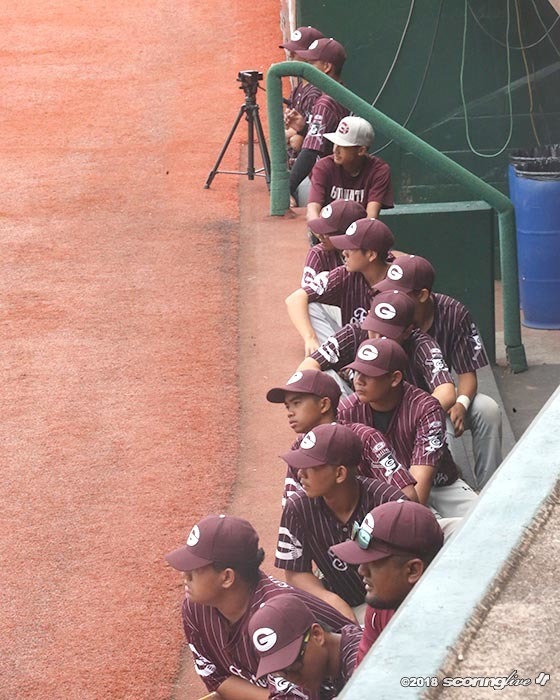 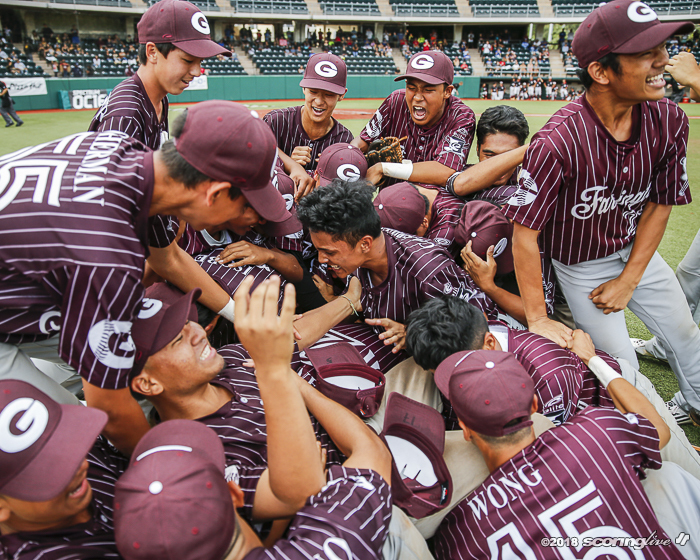 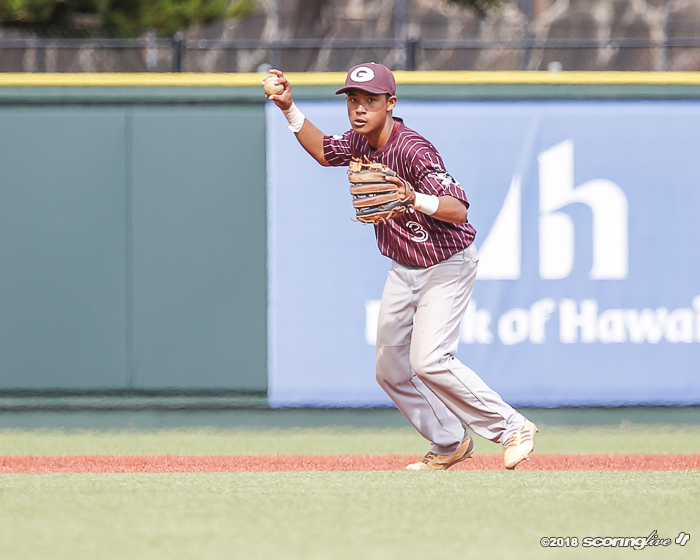 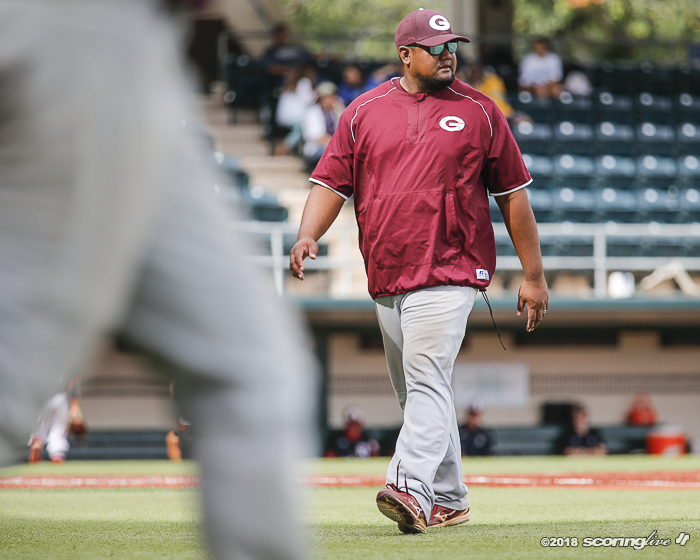 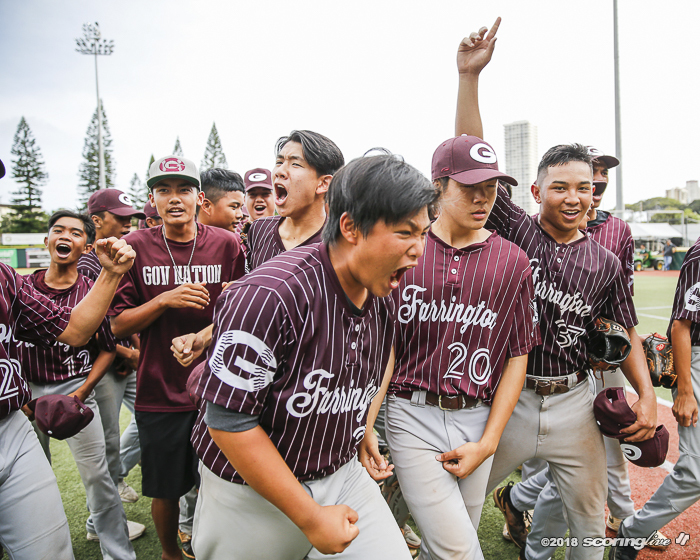 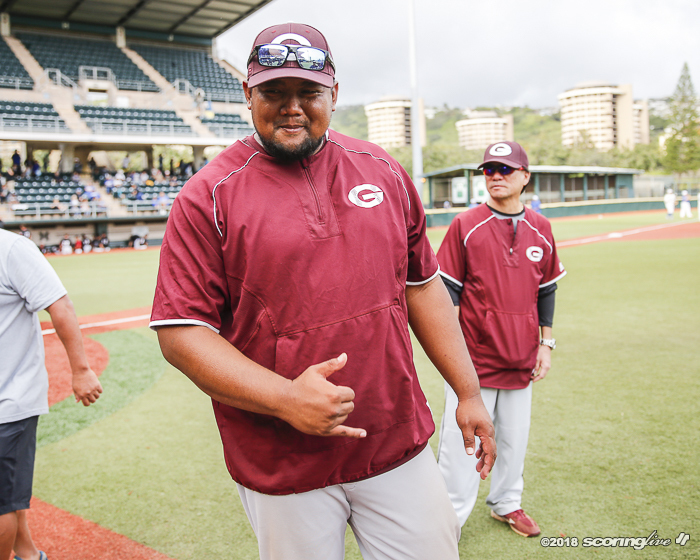 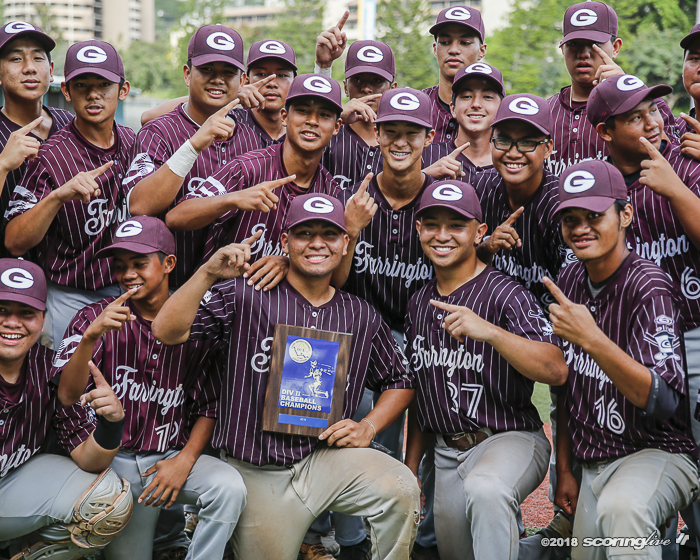 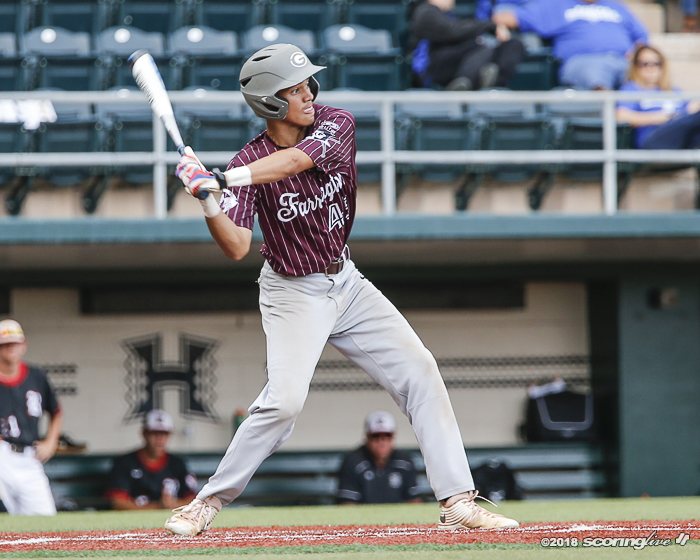 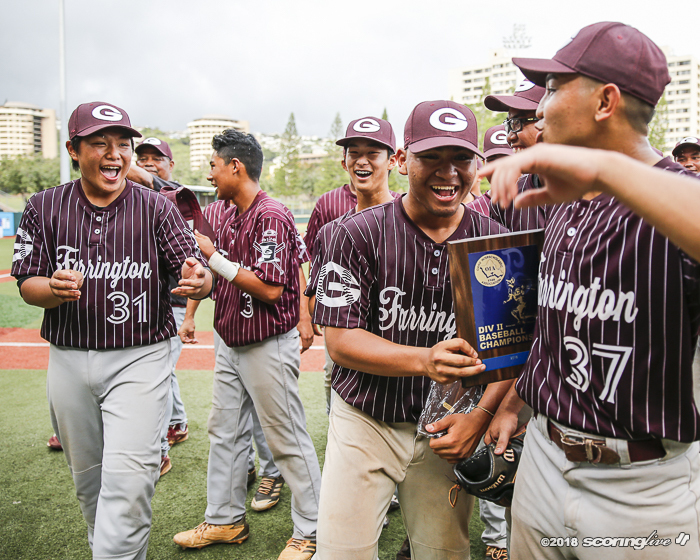 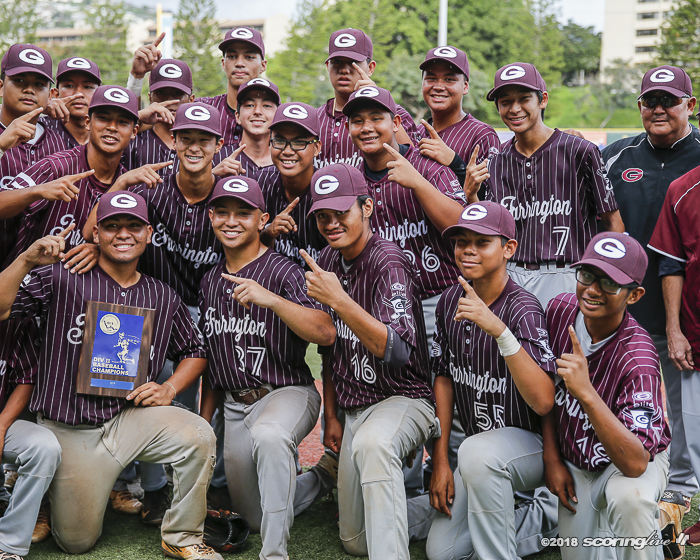 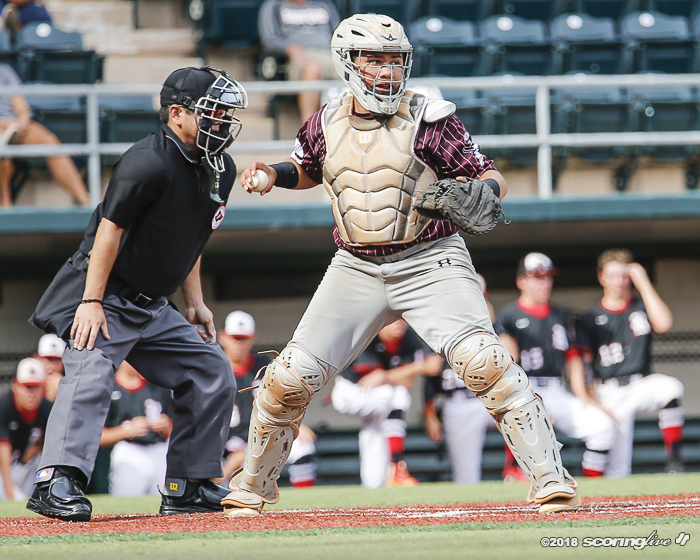 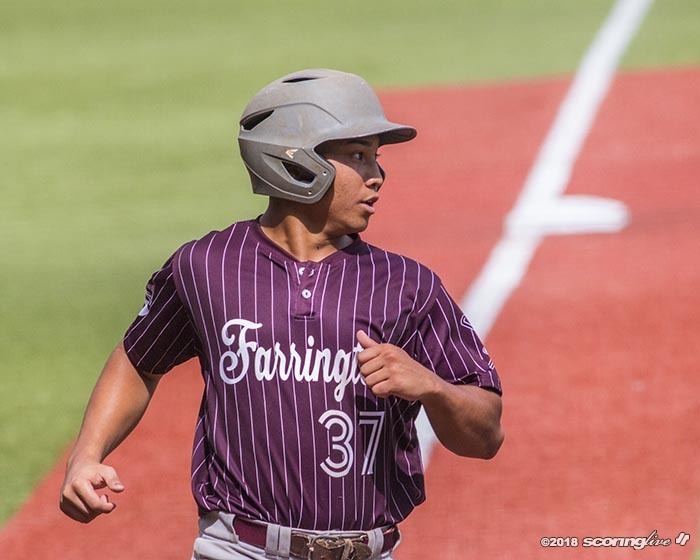 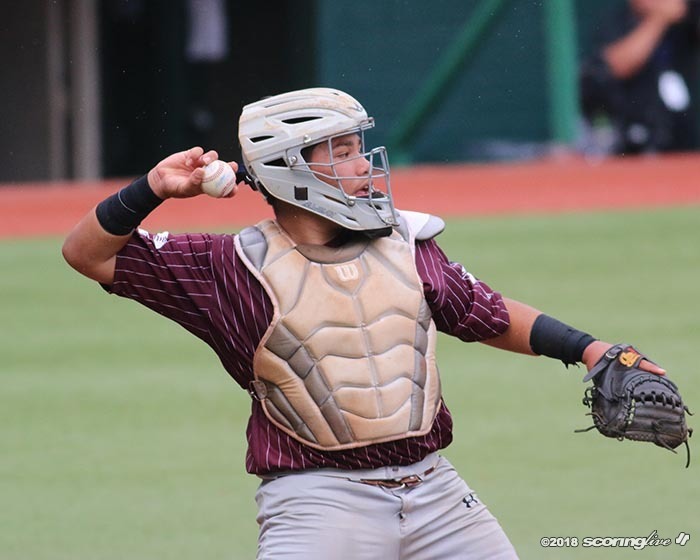 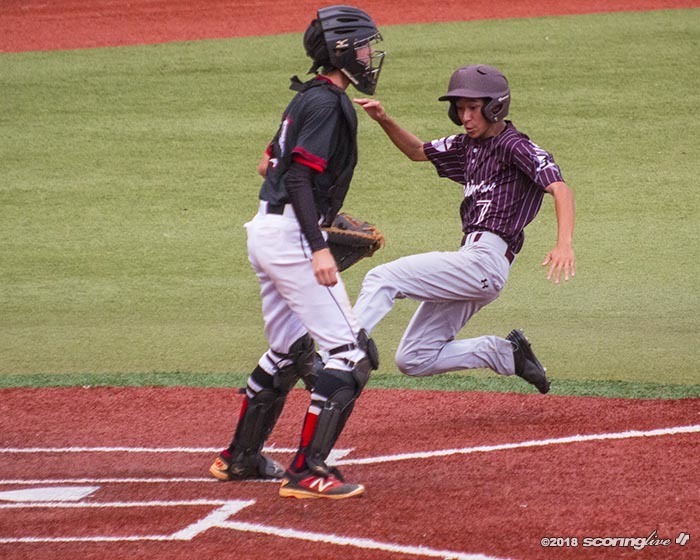 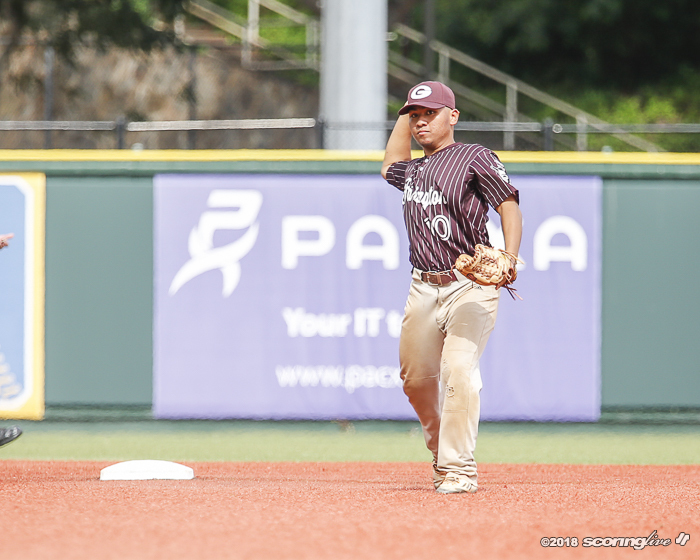 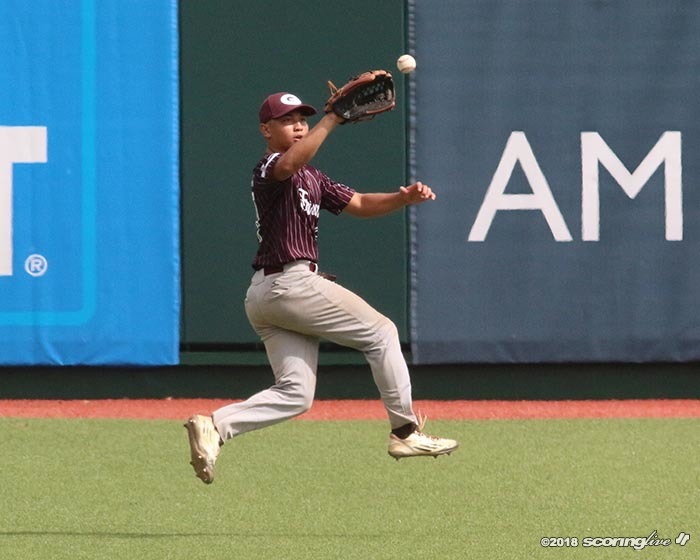 "The history of Farrington baseball is what people remember because it's been kind of dormant for so long, but still a lot of good players came out of the program. 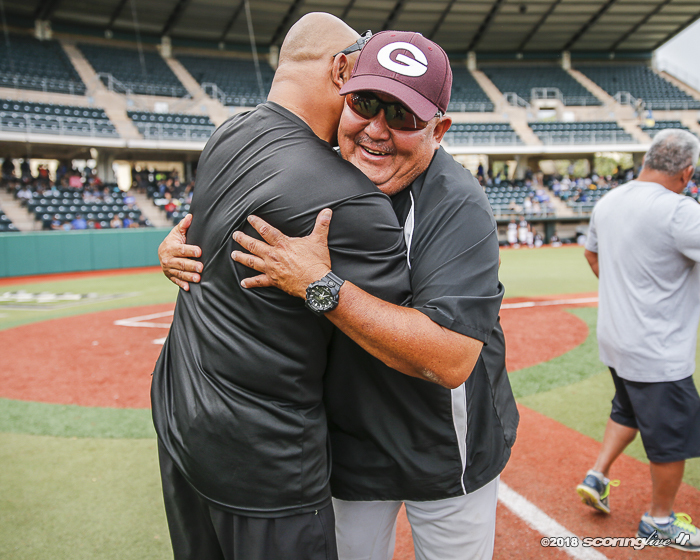 It means a lot." 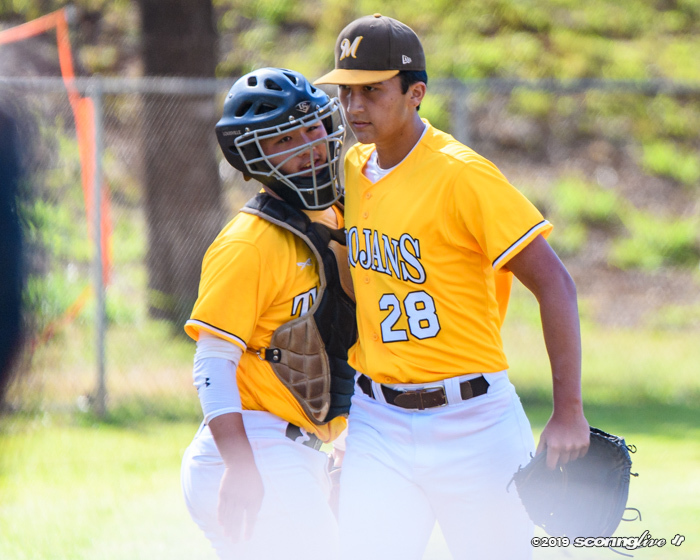 Trey Kaawa (3-2), who suffered both regular-season losses to the Rams — once as a starter and the other as a reliever — finally beat the Rams (11-2). 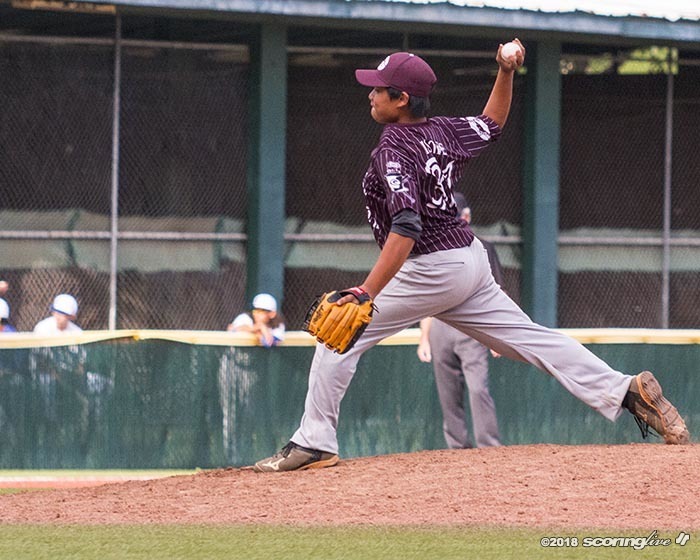 He pitched 4 1/3 innings, allowing four runs (three earned), six hits and three walks with one strikeout. 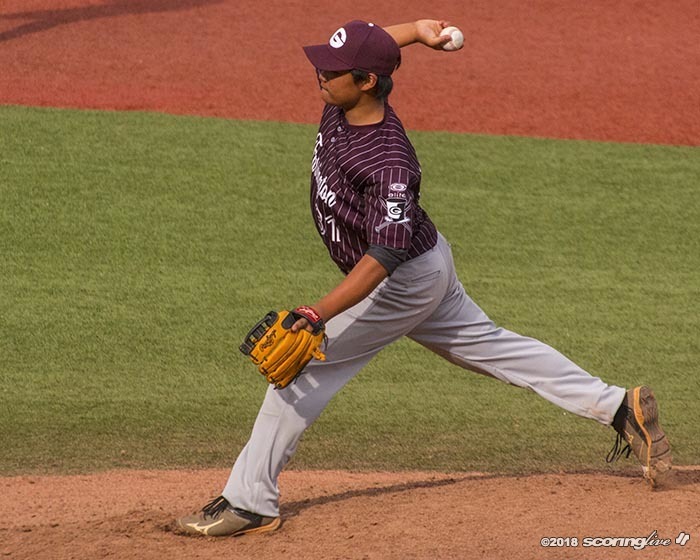 Treven Isobe shut the door with 2 2/3 innings of one-hit relief to notch the save for the Governors (11-3). 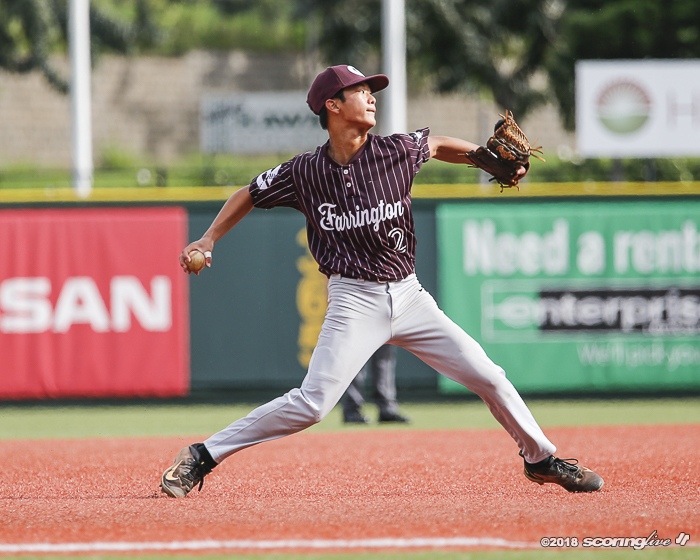 "He's been struggling all year," Tokunaga said of Kaawa. 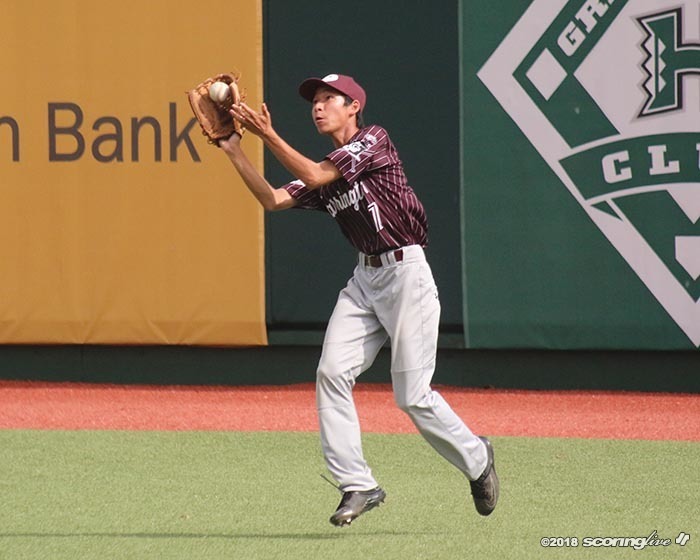 "We decided we have to give him the ball, this is his game. 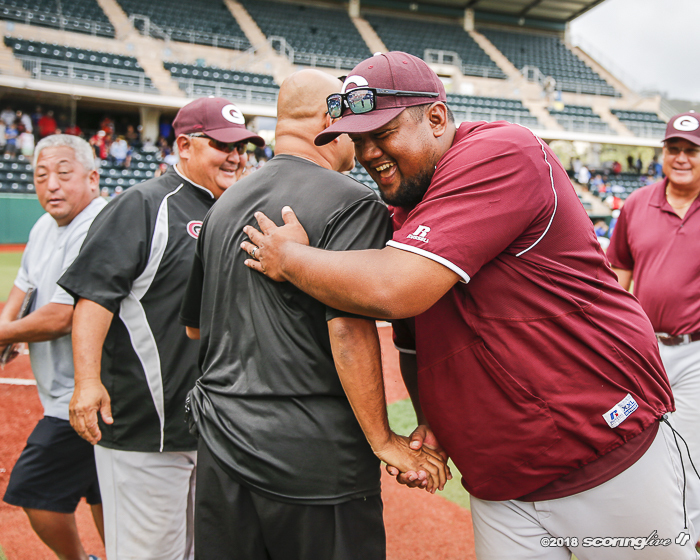 We had to give him the shot and pulled through for us today." 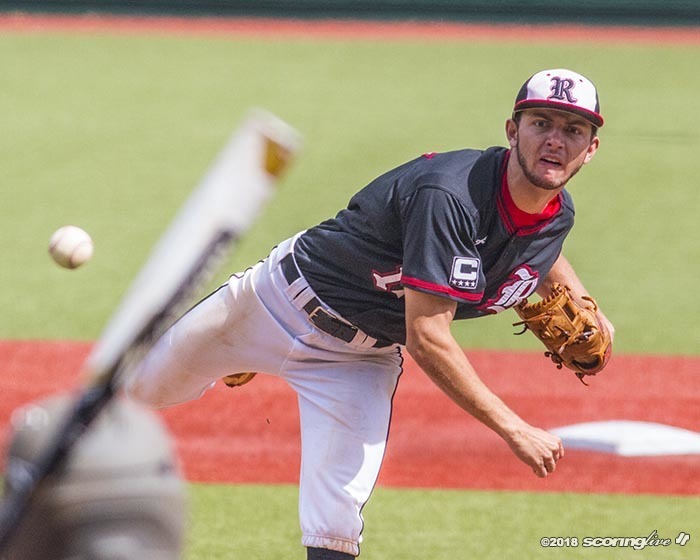 Jack Dillon (4-1) pitched the distance for the Rams. 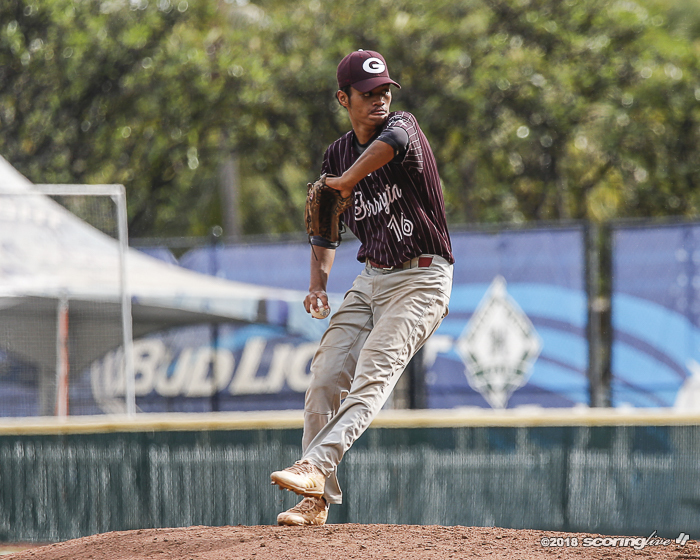 He was charged with six runs — three unearned — eight hits and a walk with four strikeouts. 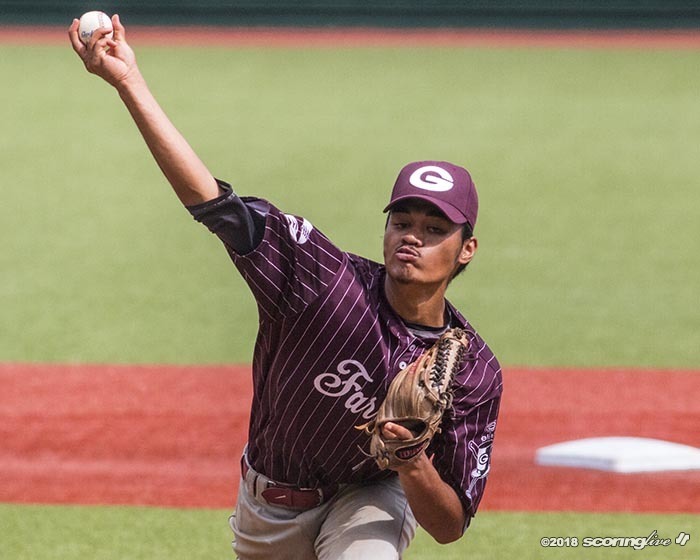 He used 114 pitches; he can exceed the 110-pitch limit count if he is mid-count on a batter. 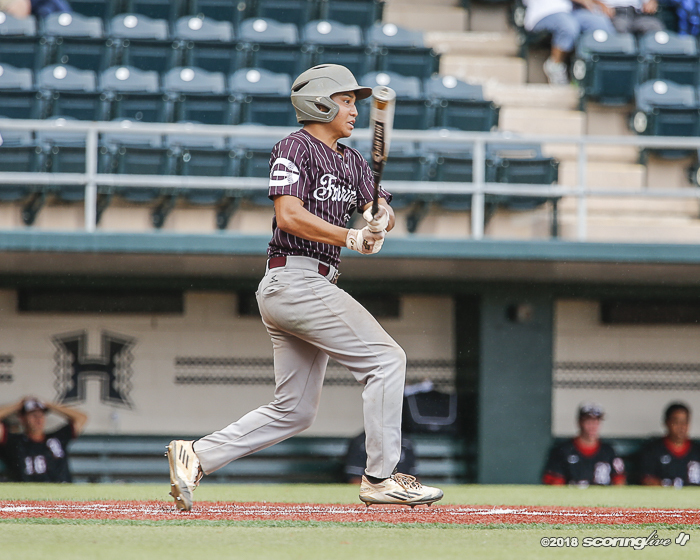 "It was just a different type of game," Kaawa said of the difference from the previous two regular season meetings. 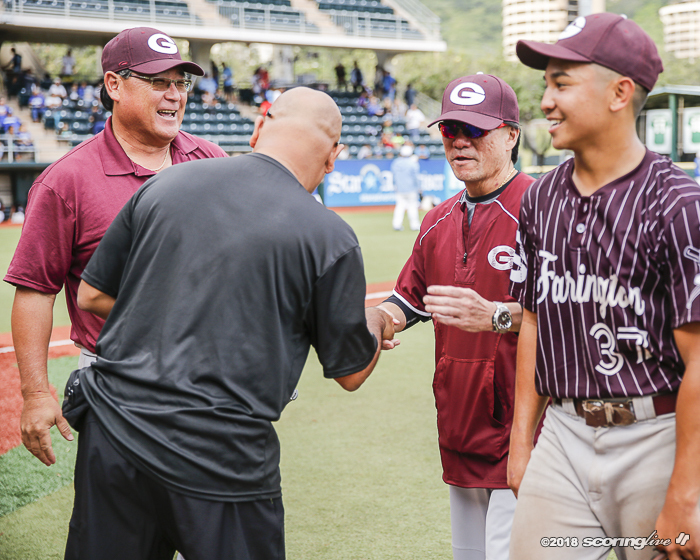 The Governors staked Kaawa with a 3-0 lead before he took the hill. 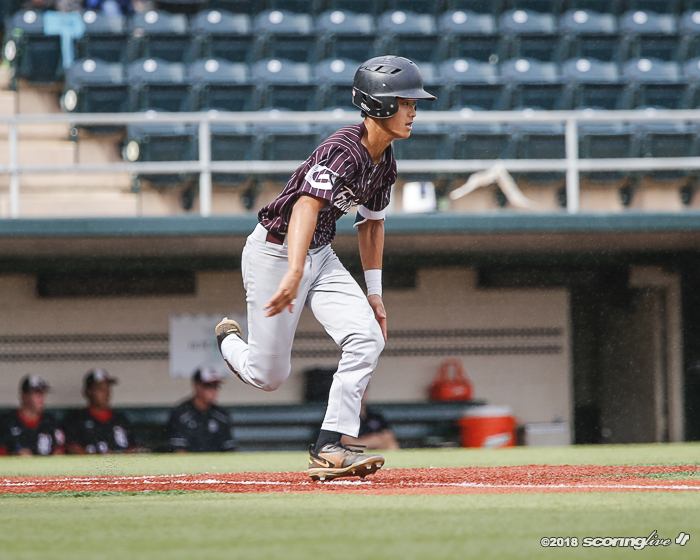 In the top of the first inning, Castilliano set the pace early for the Governors, leading off the game with a triple to right-center and scoring on Kody Pilor's hard single through the middle off Dillon's glove. 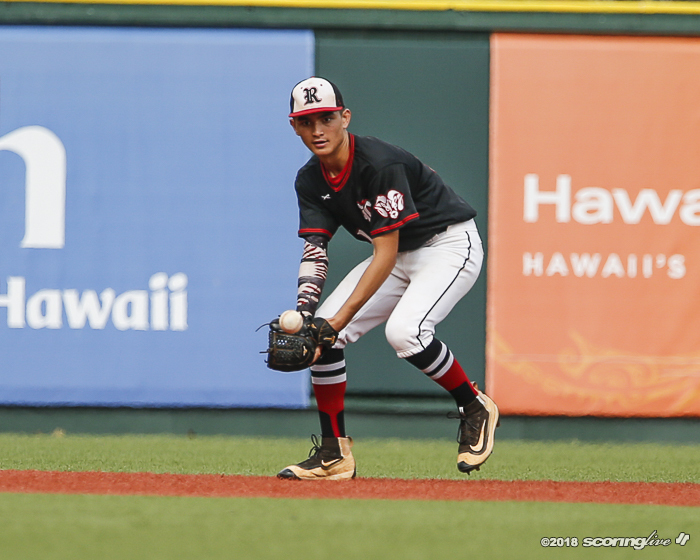 After stealing second, Pilor scored when Kamaehu Sanchez reached on third baseman Matt Lukins' two-base throwing error. 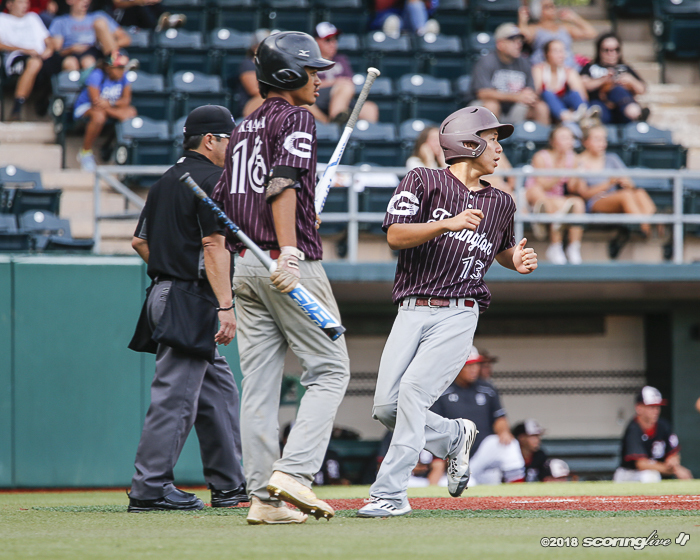 An out later, Kaawa's single to right sent courtesy runner Payton Okada to third, where he scored on Jayden Soriano's sacrifice fly to right before Reese Shioji grounded out to end the inning. 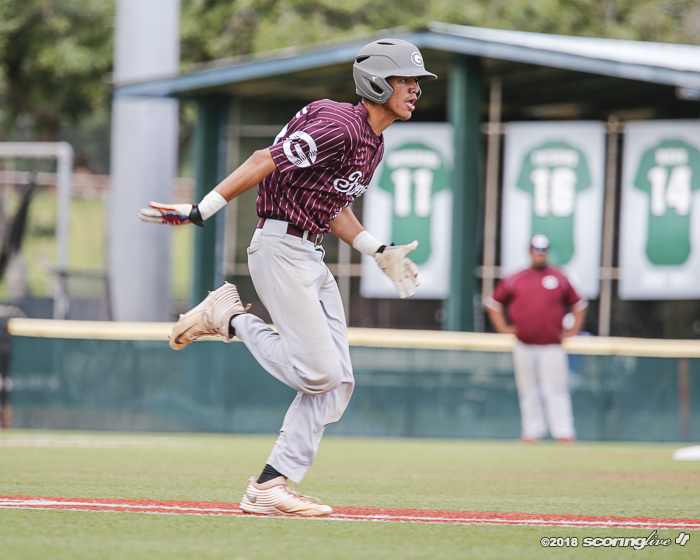 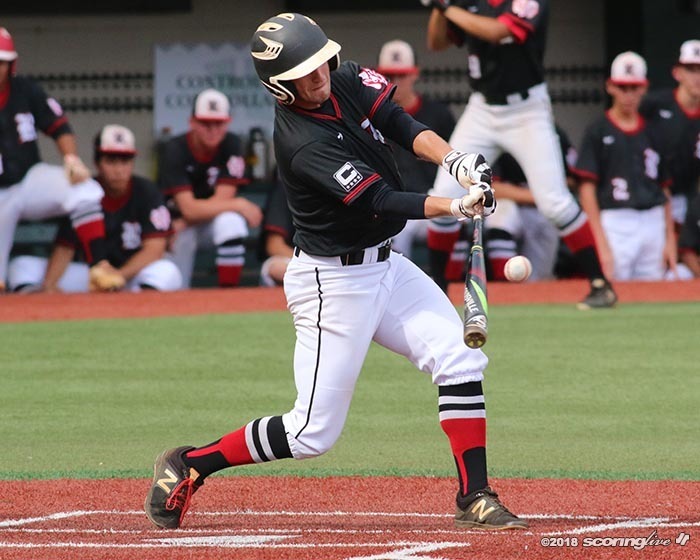 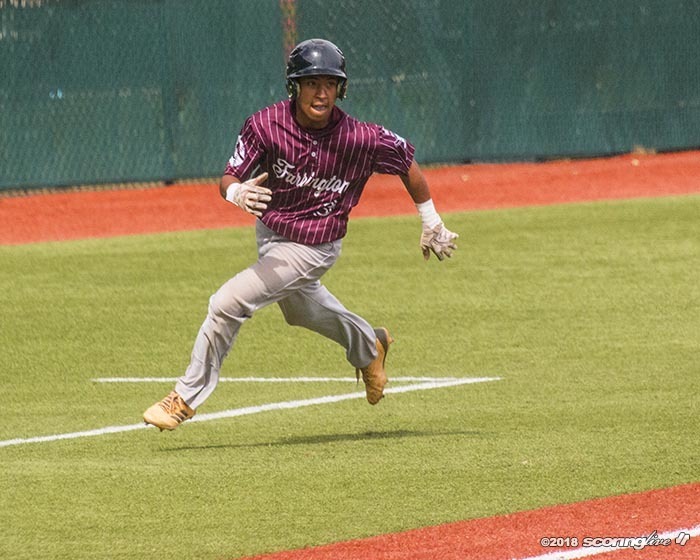 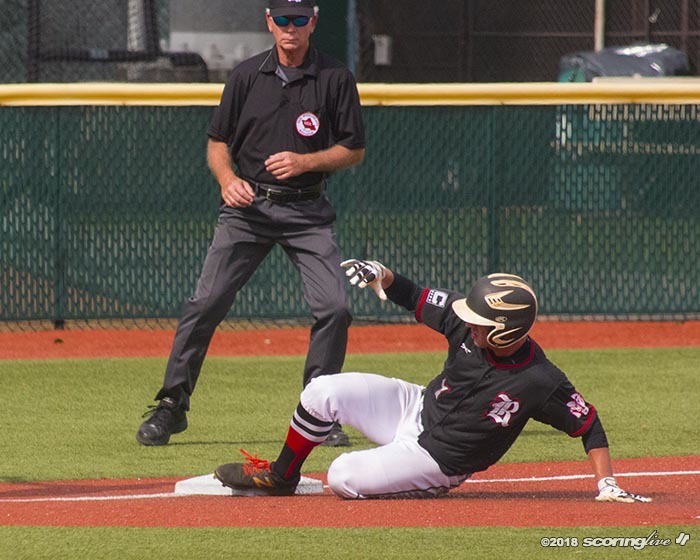 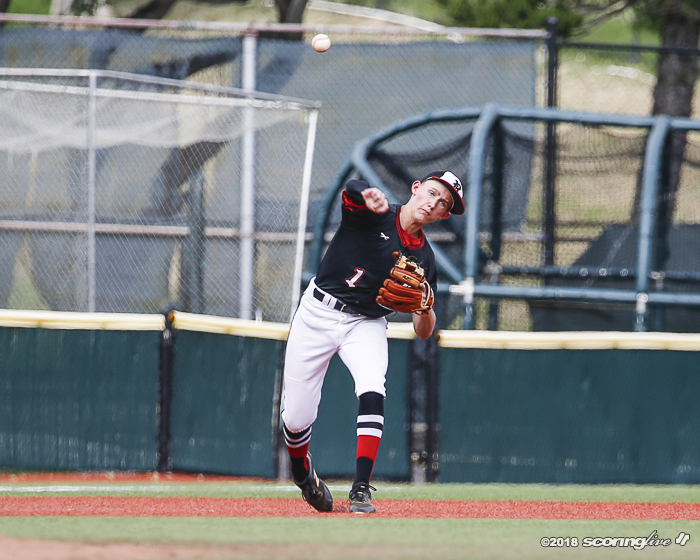 The Rams got a run back in the bottom of the second when Isaac Grant led off with a single, took second on a ground out to third, advanced to third on a wild pitch and scored on DJ Kabua's sacrifice fly to right. 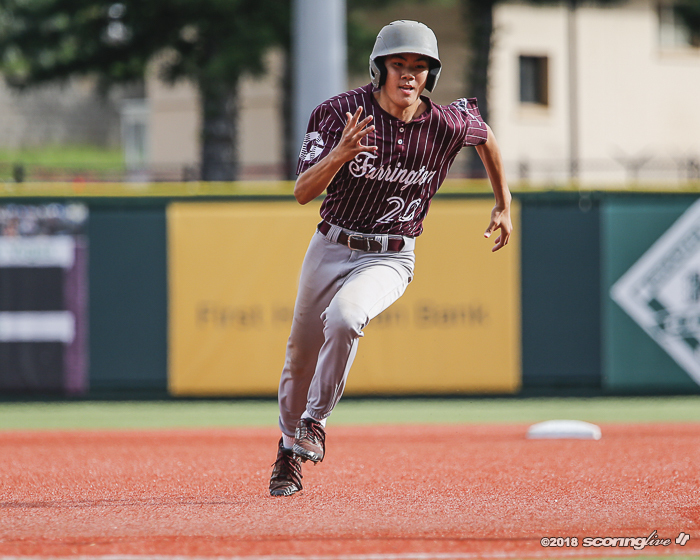 But Farrington got the run back in the third. 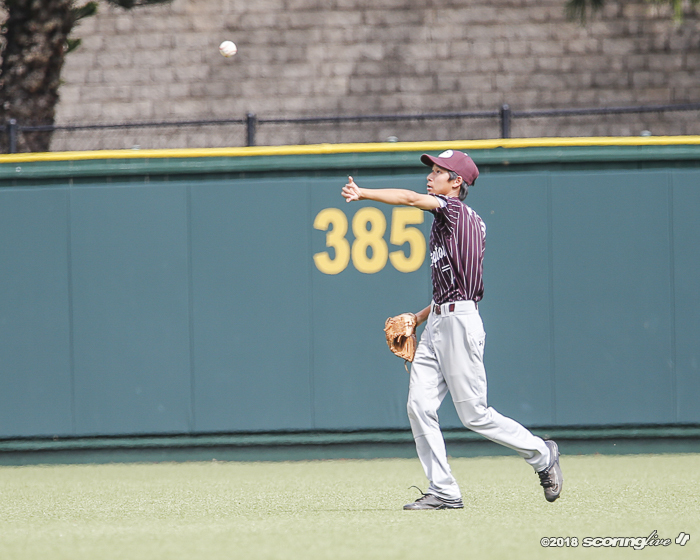 Sanchez again reached on a two-base throwing error by Lukins. 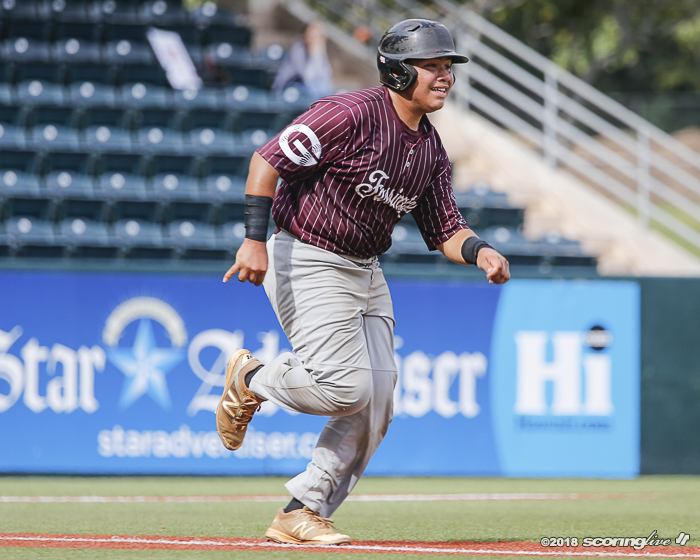 Courtesy runner Okada then scored on Cisqo Sagucio's double to the left-center alley before Dillon retired the next three batters. 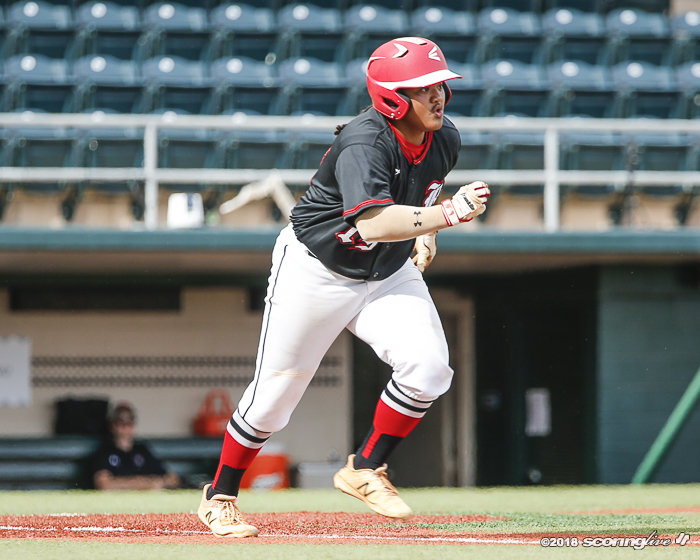 Radford got the run back in the bottom of the third. 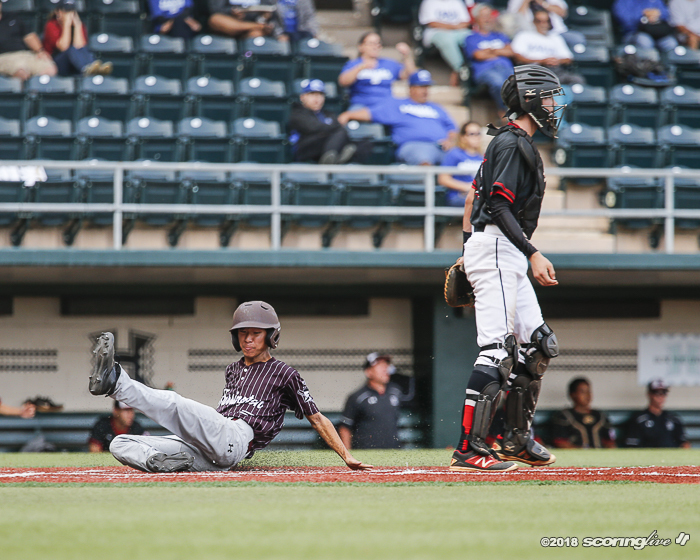 Lukins singled with one out, took second on a wild pitch and scored on Richard Akana's single to right. 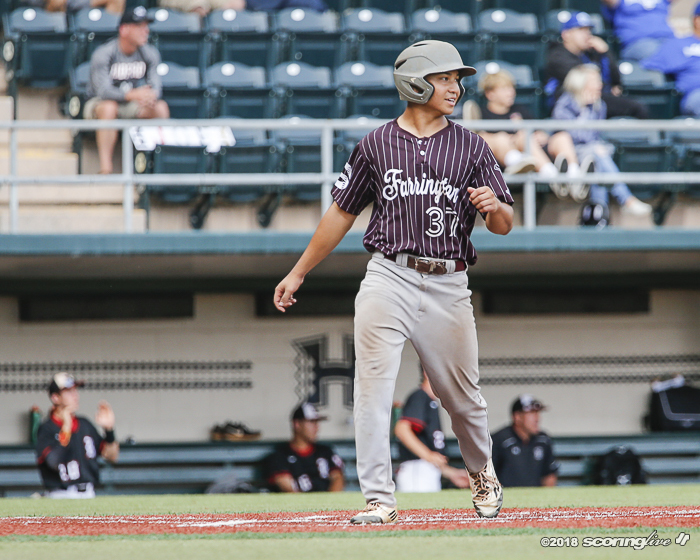 But Kaawa settled and retired the next two batters to keep the Farrington ahead, 4-2. 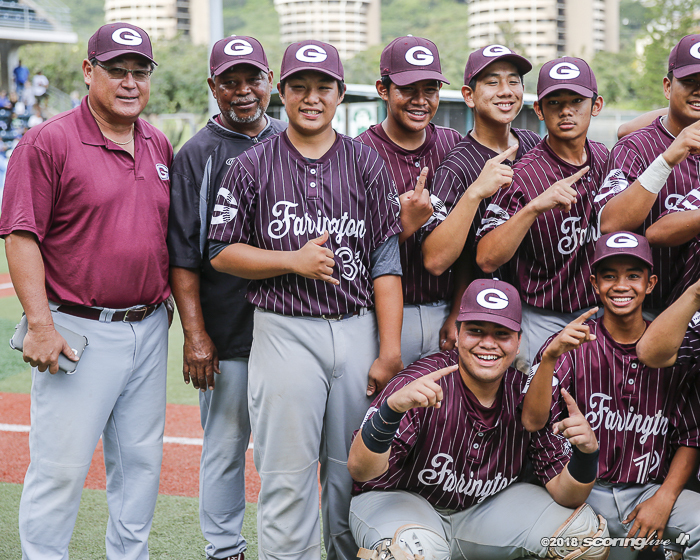 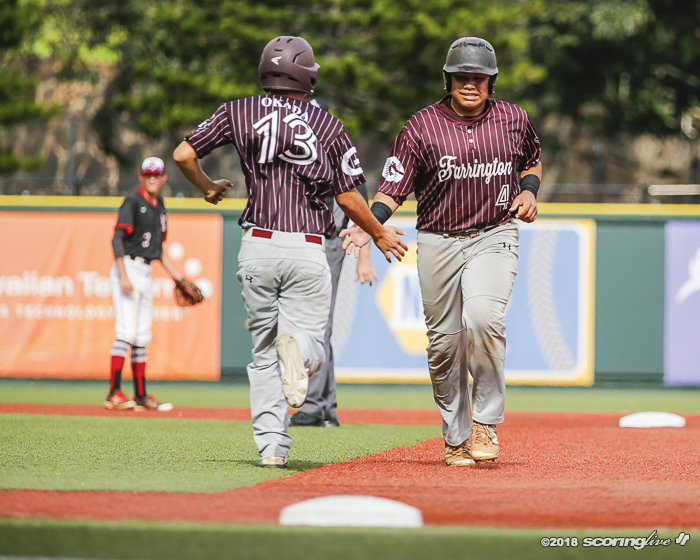 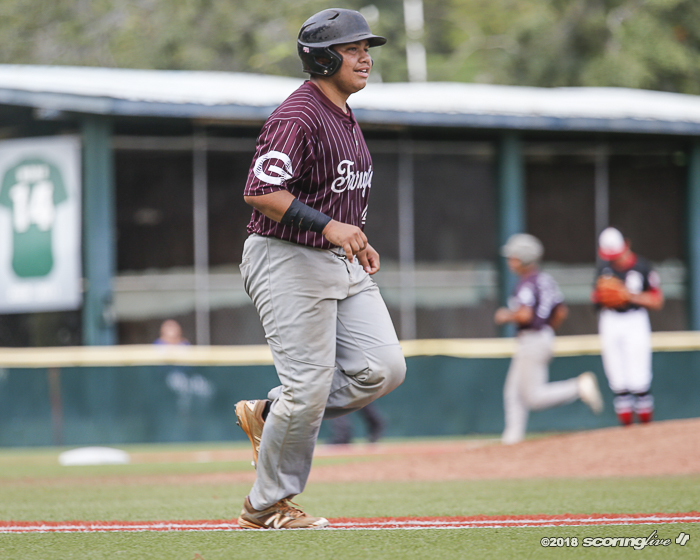 Farrington cushioned its lead in the top of the fifth with a two-out single by Sagucio, who scored on when Kaawa helped his own cause with a double to right-center to make it 5-2. 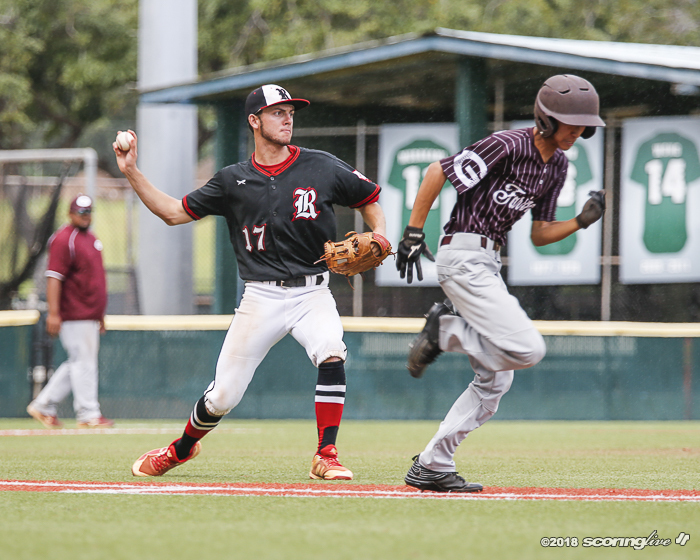 The Rams mounted a threat in the bottom of the frame when they had the bases loaded with one out. 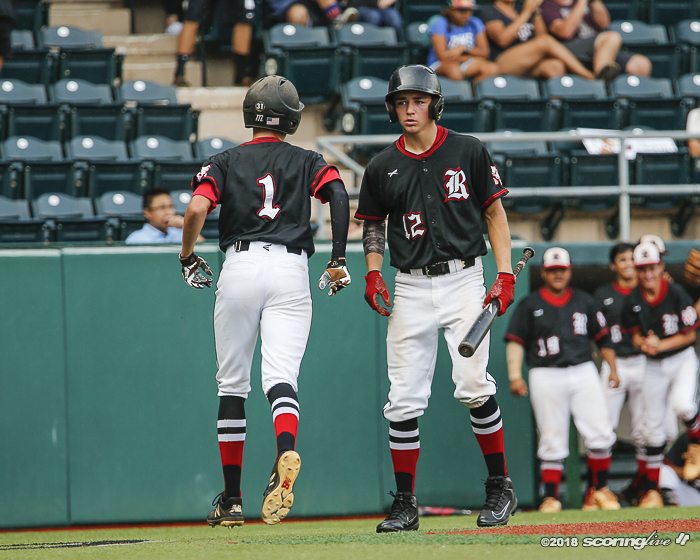 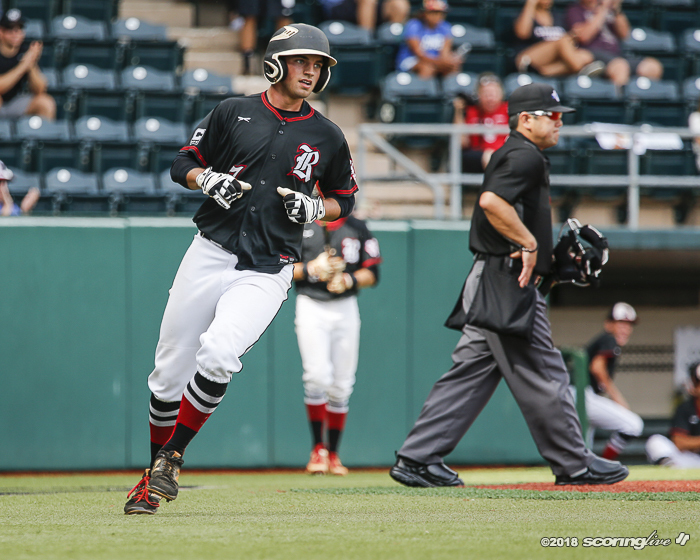 Shane Vogt had an RBI single and Grant drove home the second run when he grounded out to first to pull the Rams to 5-4 before Carter Ogino grounded out to end the inning. 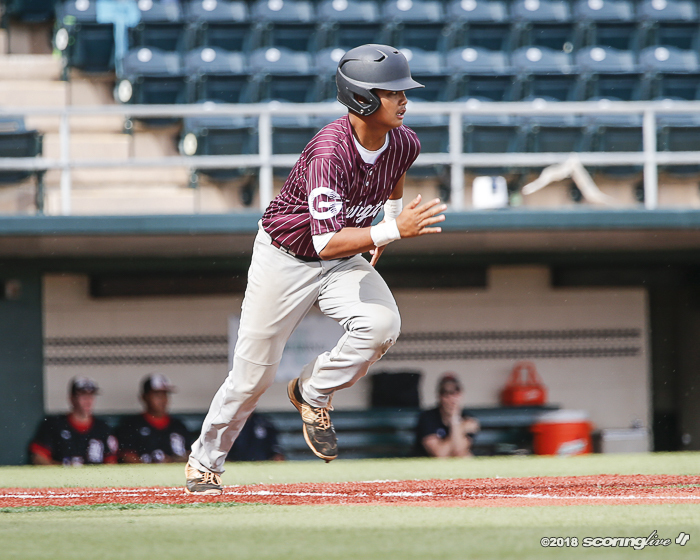 The Govs insured their lead in the sixth. 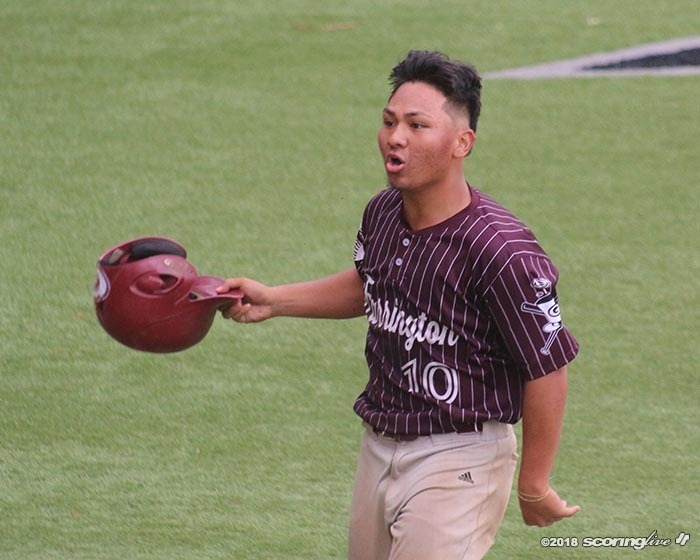 With one out, Randy Wong reached on a two-base throwing error by Lukins but was nailed going to third when pinch hitter Hunter Atagi reached on a fielder's choice grounder to short. 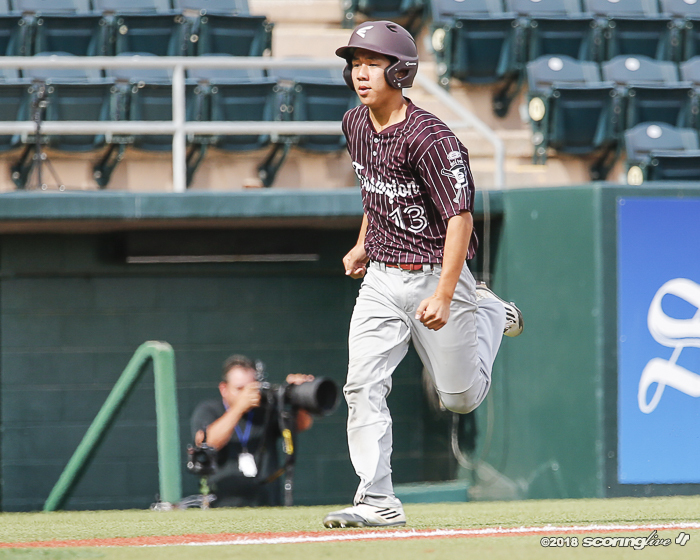 Shayden Fujimoto re-entered the game as a pinch runner and stole second. 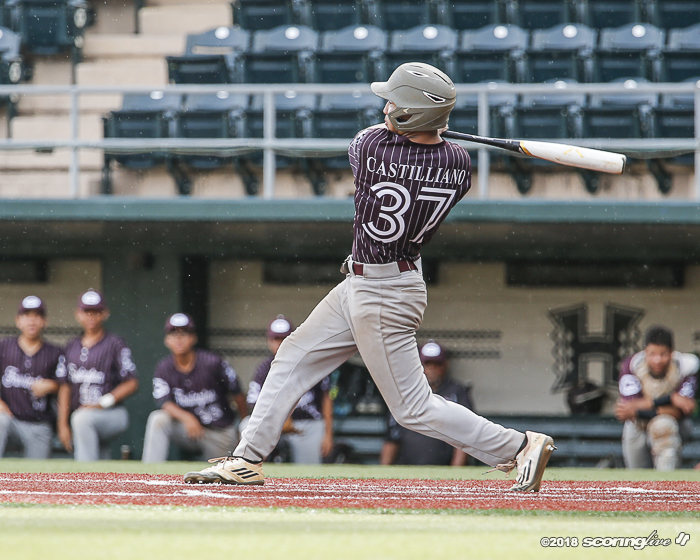 Castilliano was intentionally walked after drawing a 3-1 count. 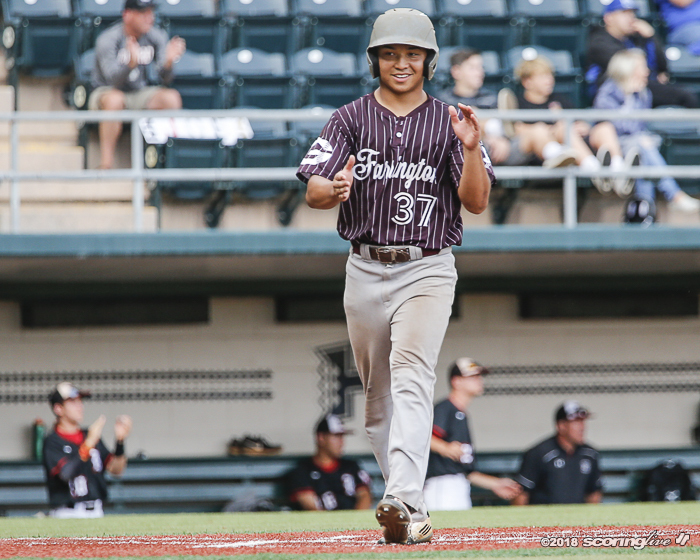 Pilor's single to left scored Fujimoto to make it 6-4 before Dillon got out of the inning. 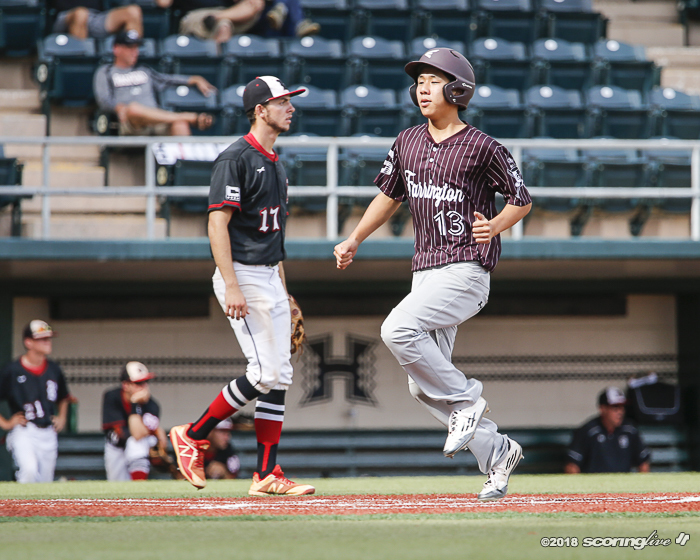 "We answered back," Tokunaga said of the add-on runs throughout the game. 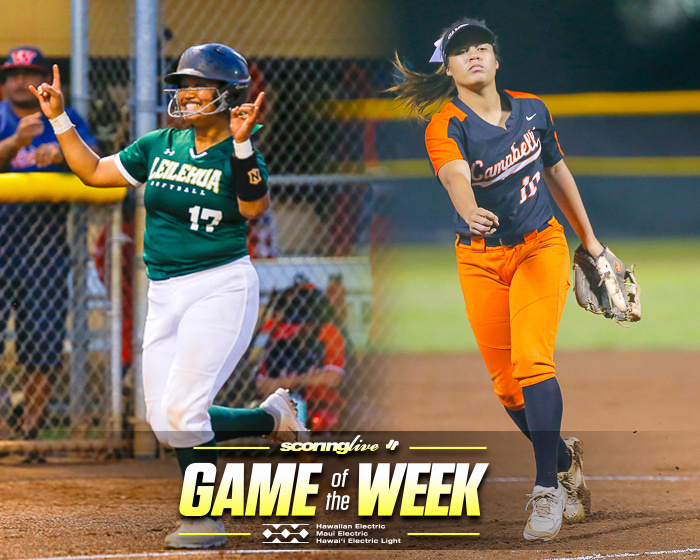 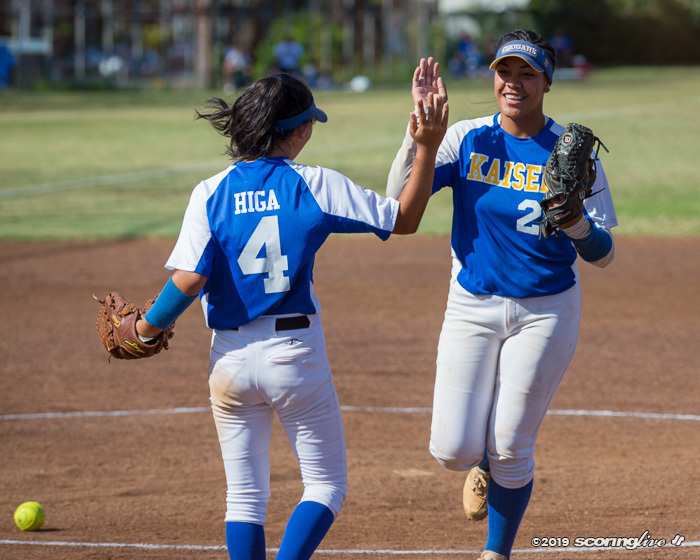 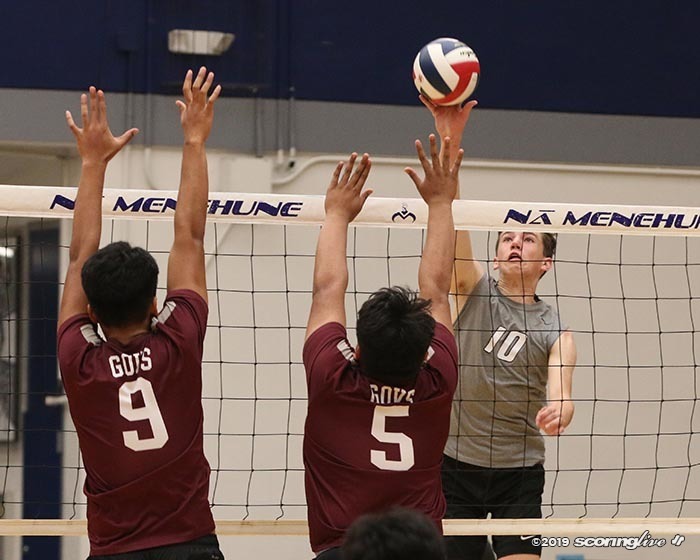 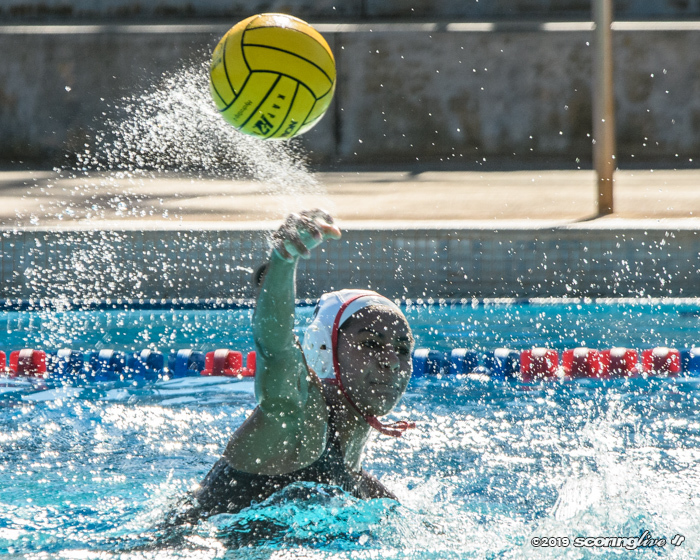 "We had a real tough game (against Waianae in Friday's semifinals), that helped us a lot. 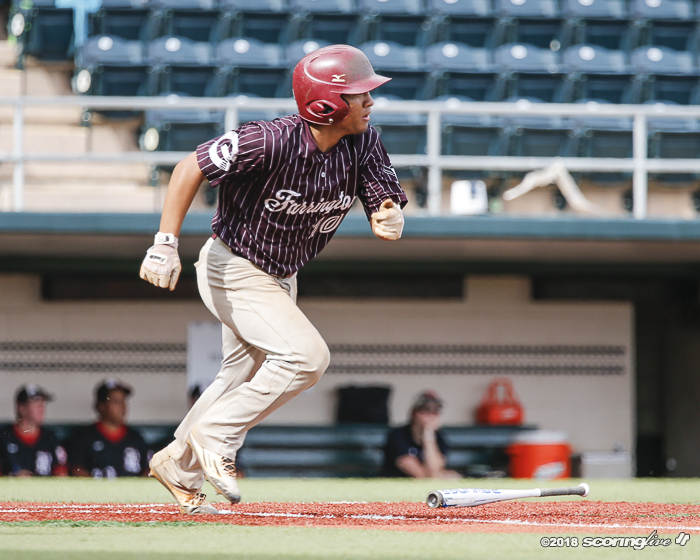 Beating Waianae in Waianae. 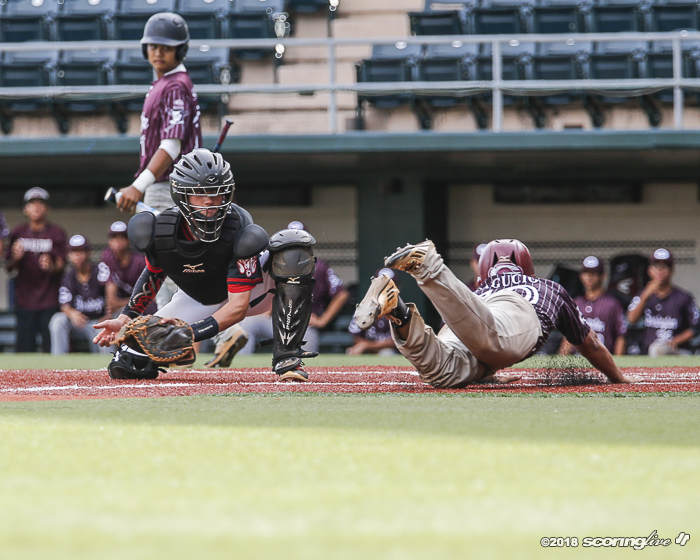 That was like a championship game in itself." 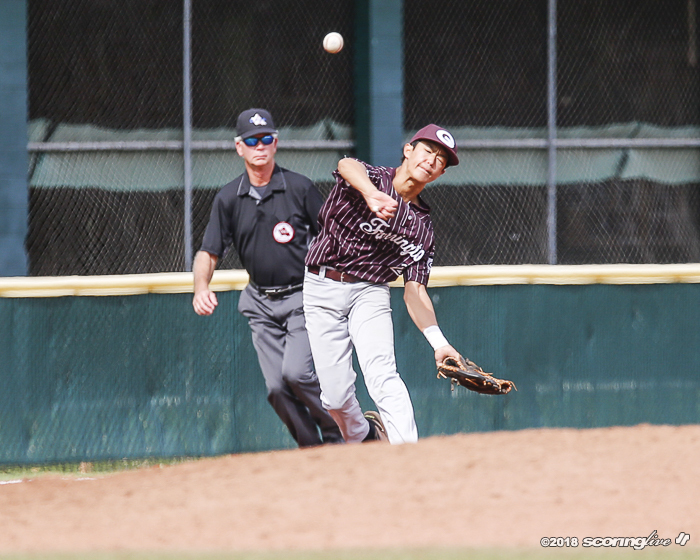 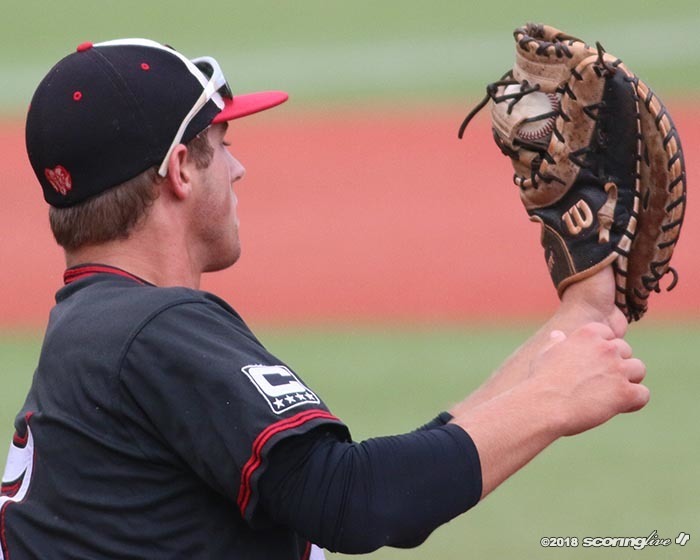 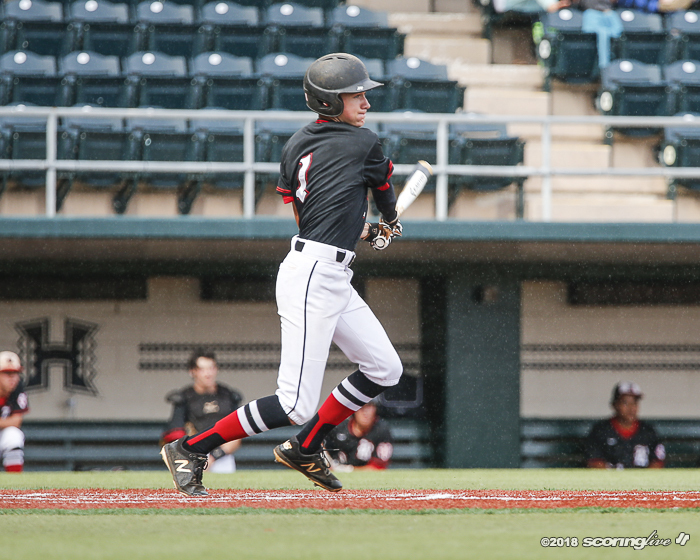 The Rams went scoreless in the sixth but threatened in the seventh. 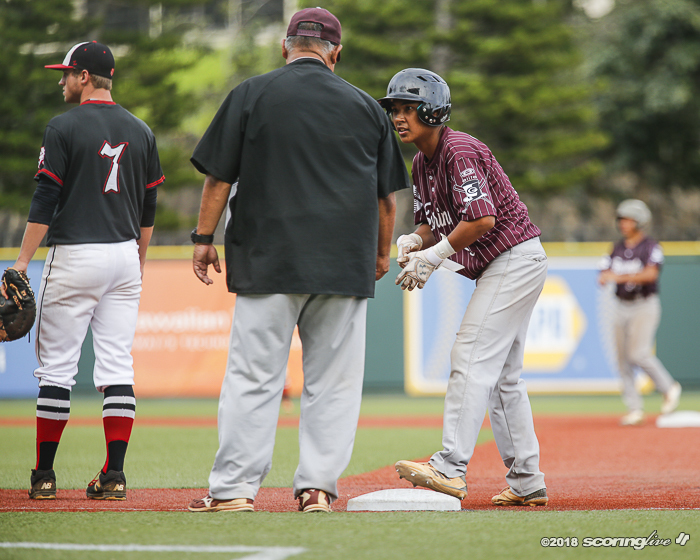 Akana tripled with one out but was stranded there when Damon Nelson fouled out to first and Vogt grounded out to second to end the game. 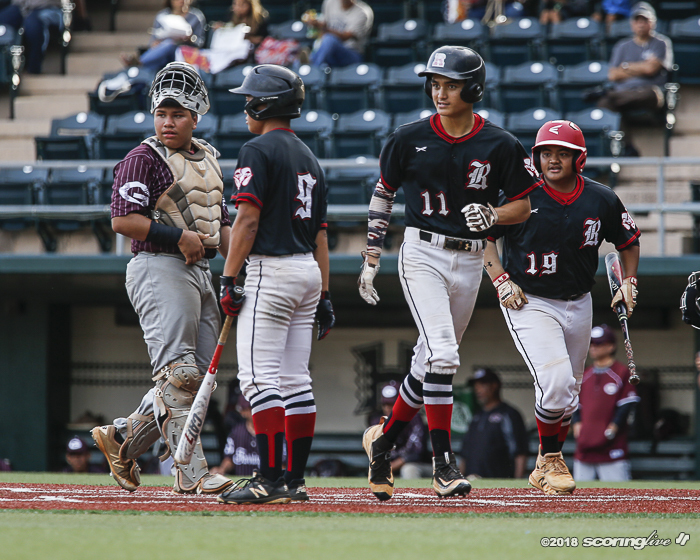 It was an uncharacteristic performance by the Rams, who were seeking their first league title since 2011 and had lost to Waianae in last year's OIA title game. 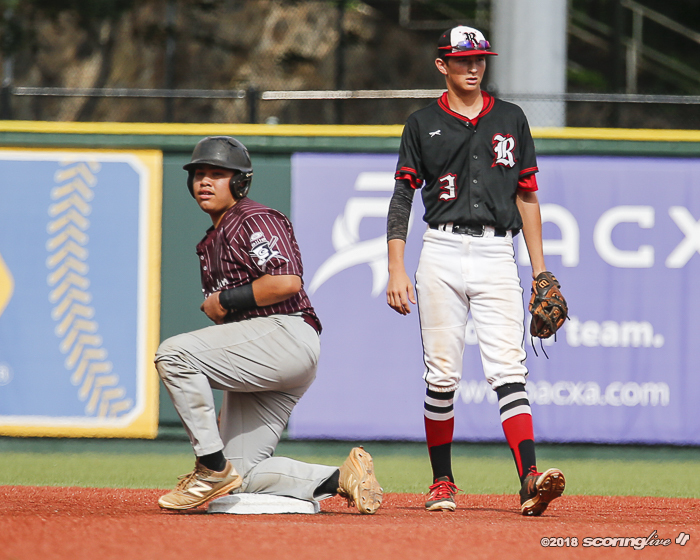 "We battled but just made too much errors," Radford coach Jacob Sur said. 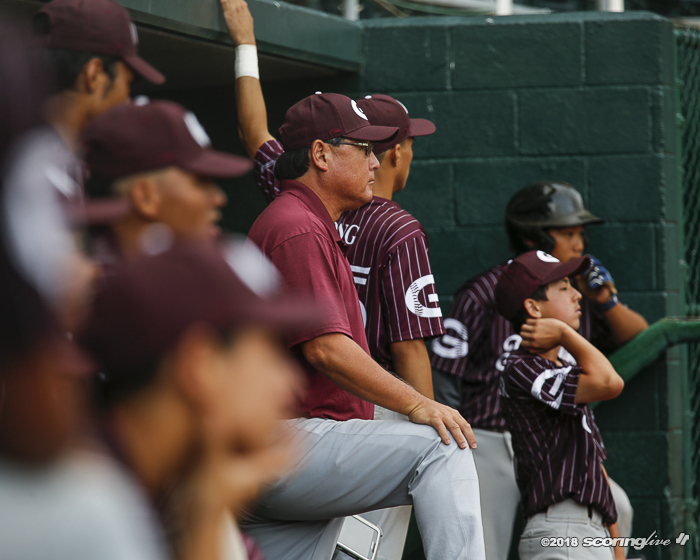 "Maybe little nerves; (Lukins) usually makes that play. 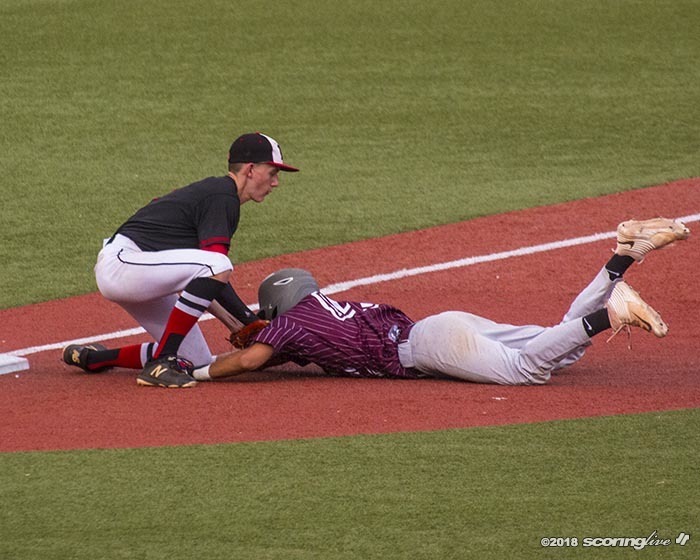 It was one of those days, I guess. 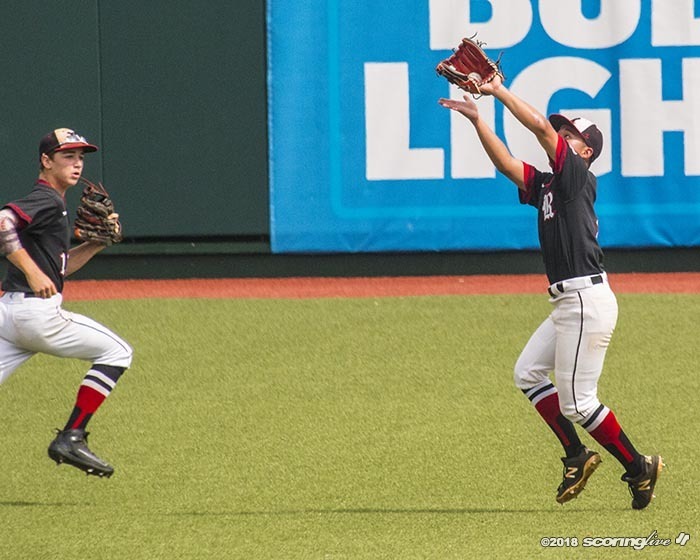 That's baseball. 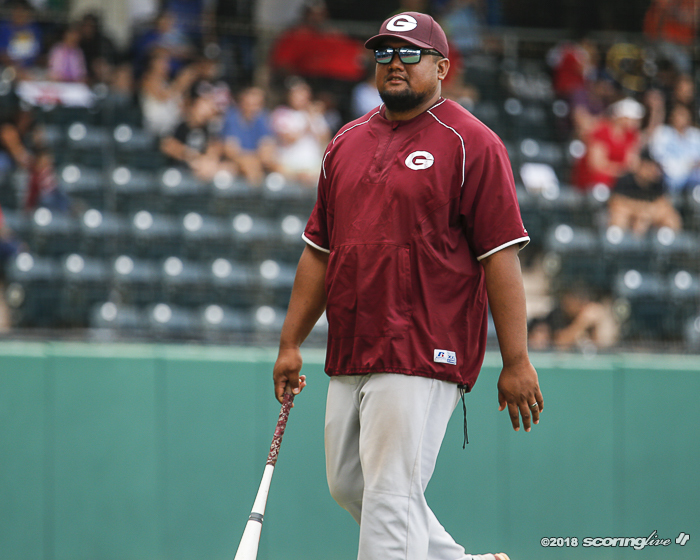 He's going to bounce back." 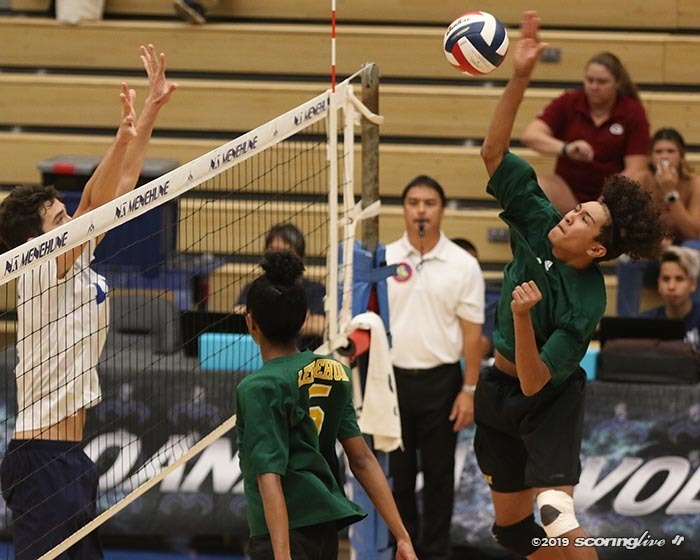 The Rams don't have much time to dwell on the loss. 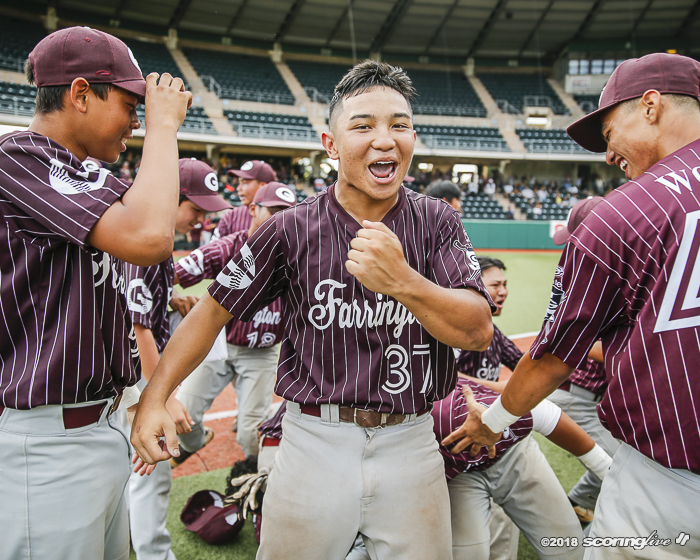 Farrington, Radford and Waianae will represent the OIA in the Division II state tournament May 8-11 at Murakami. 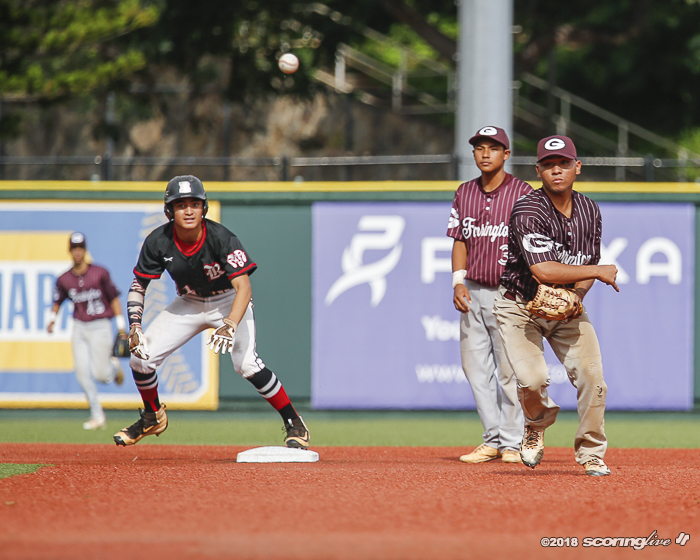 "It's a good learning experience," Sur said. 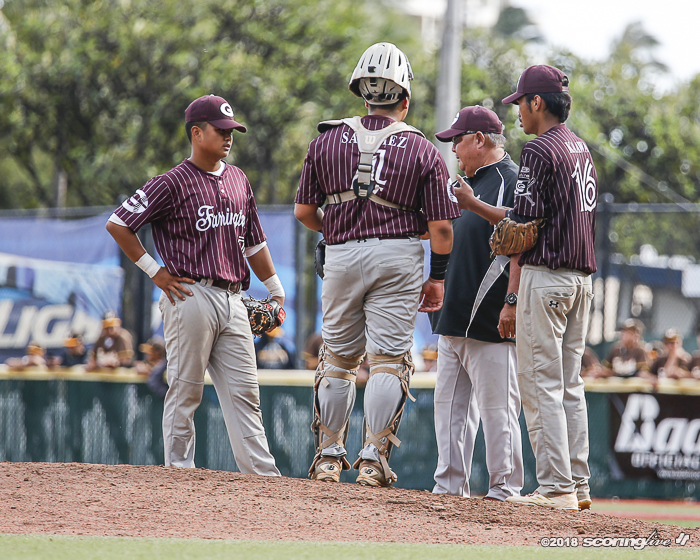 "We'll come back. 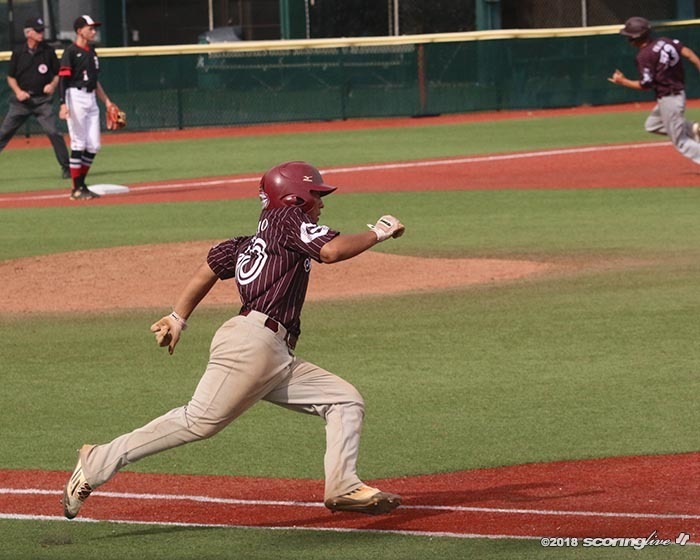 We got two weeks. 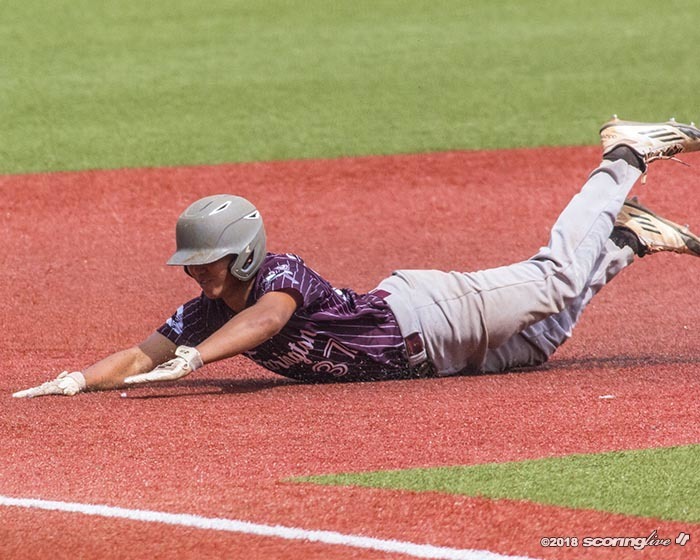 Nothing's done. 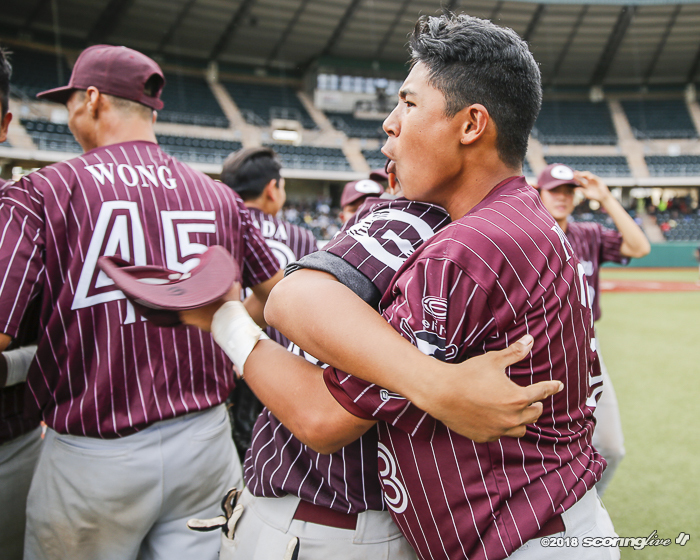 We can still win the bigger one."